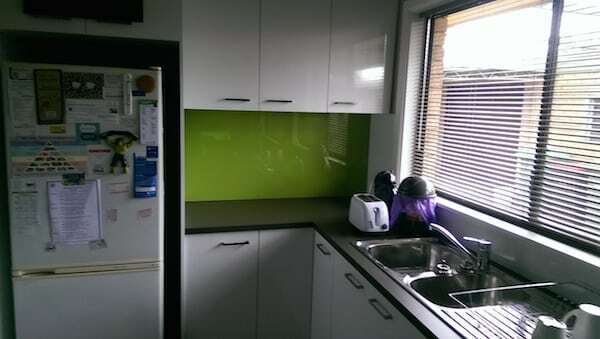 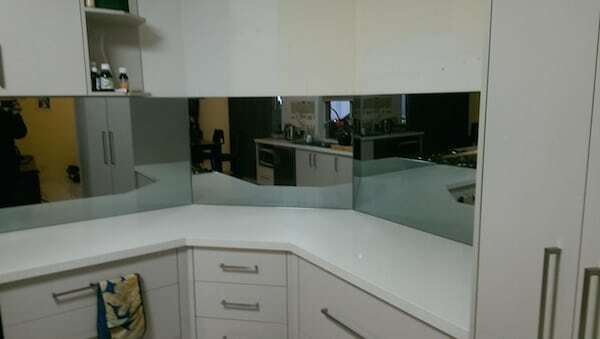 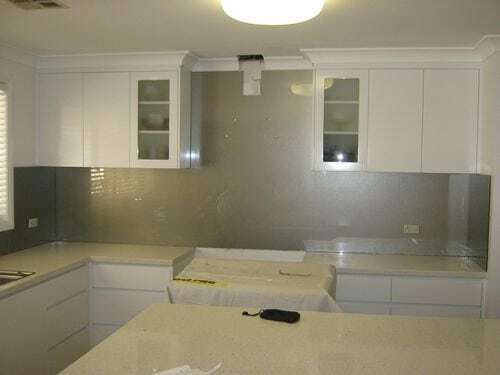 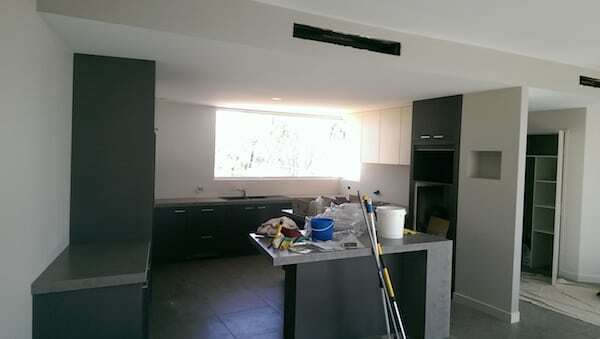 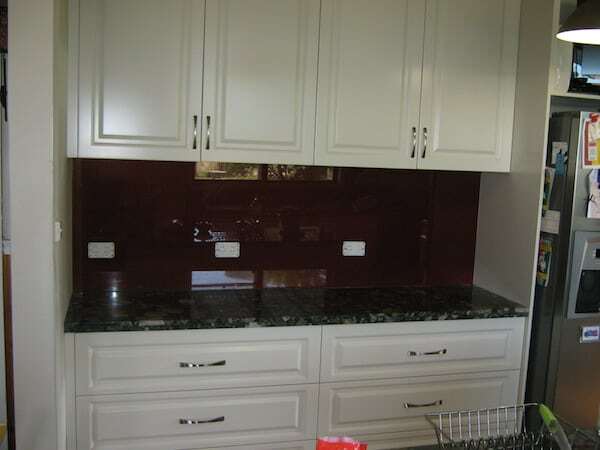 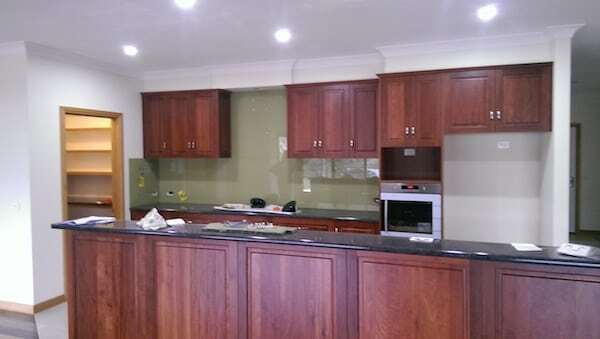 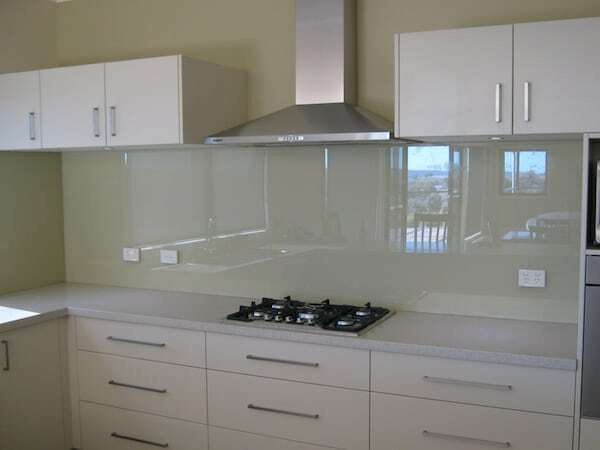 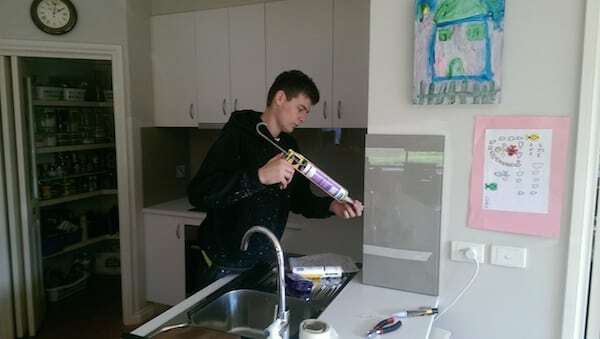 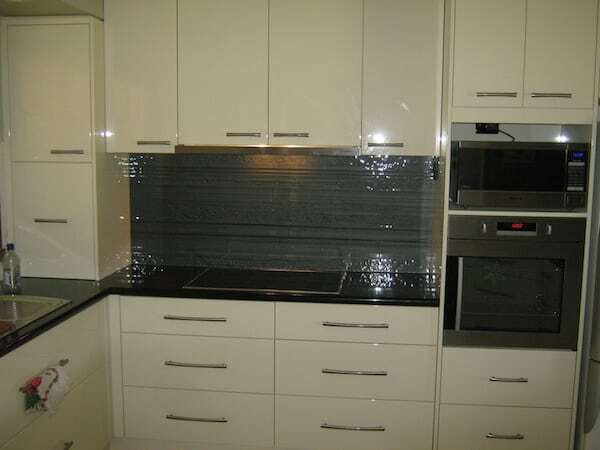 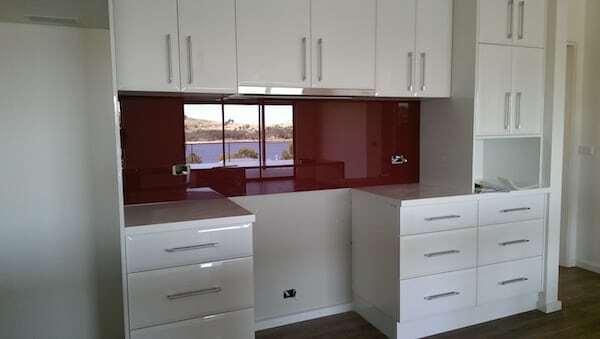 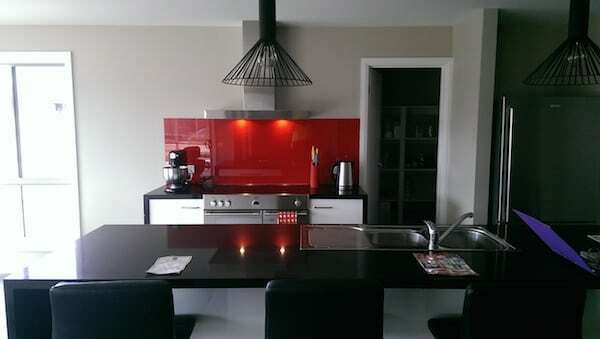 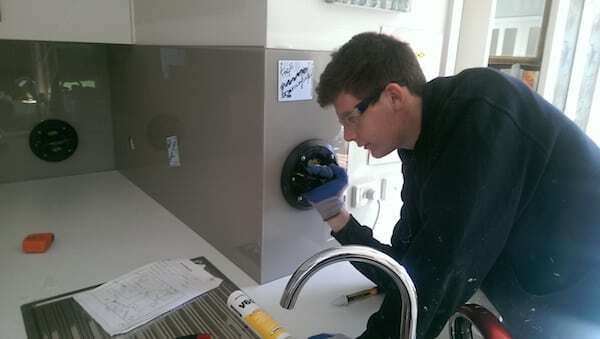 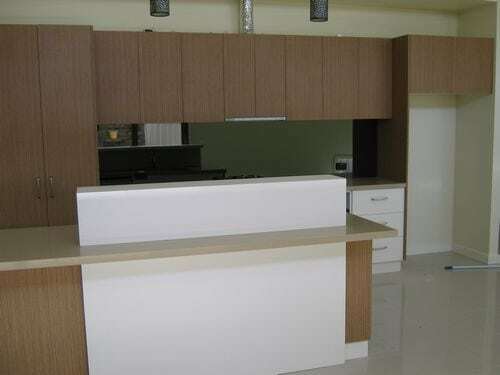 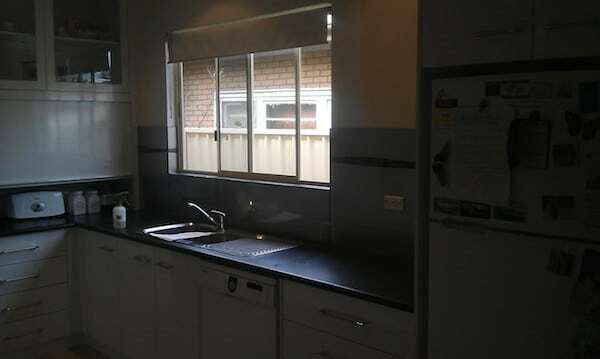 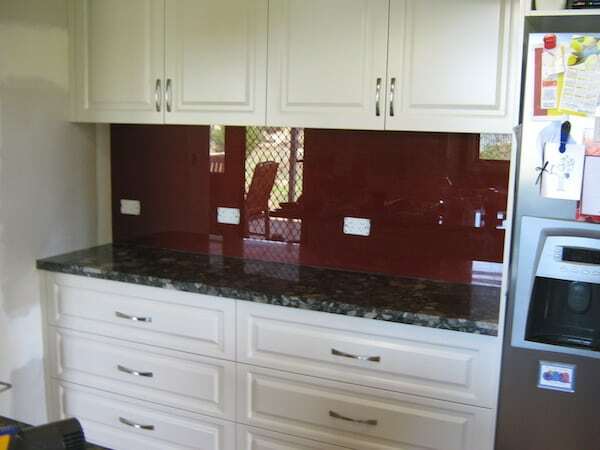 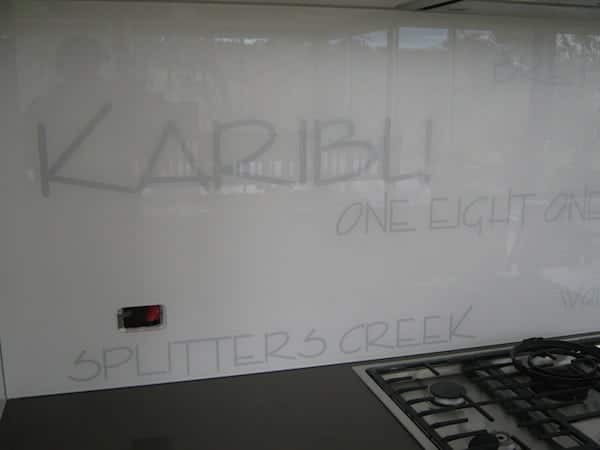 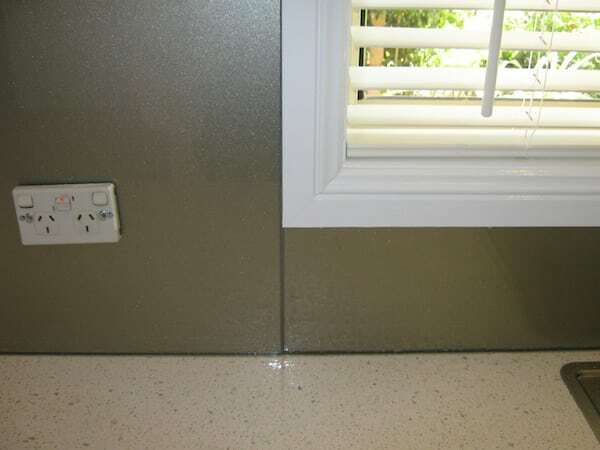 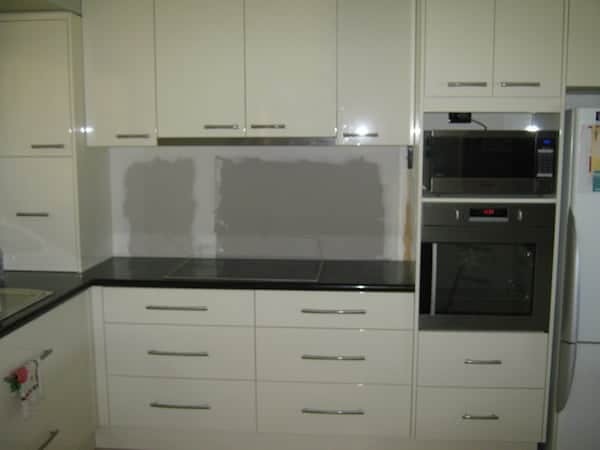 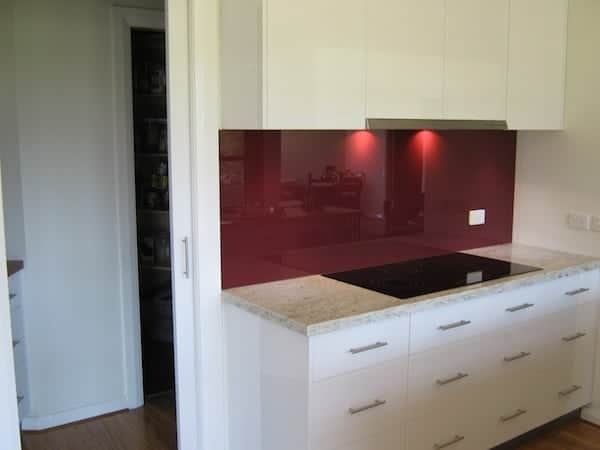 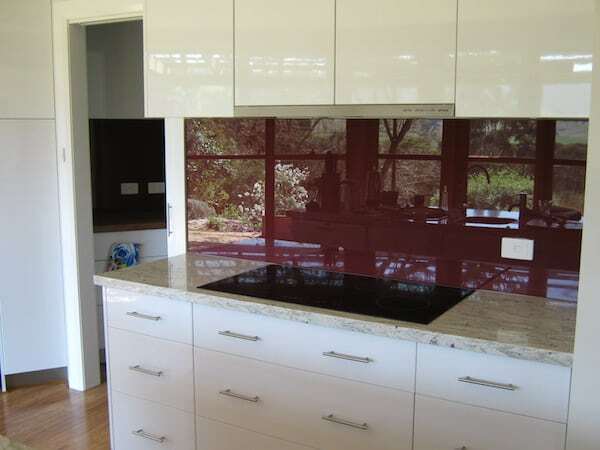 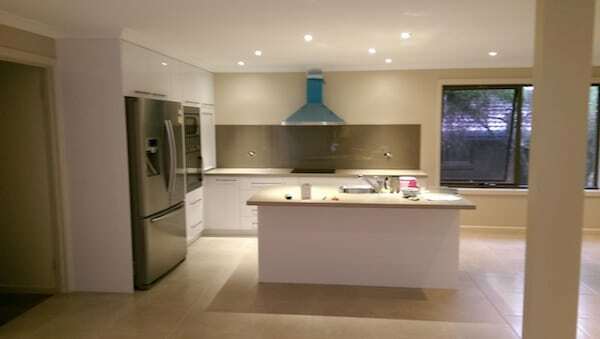 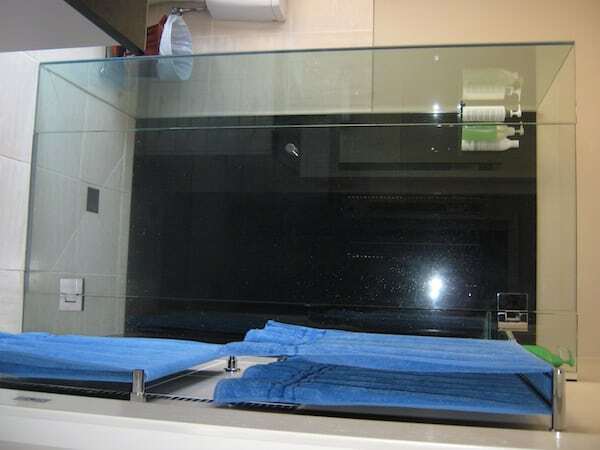 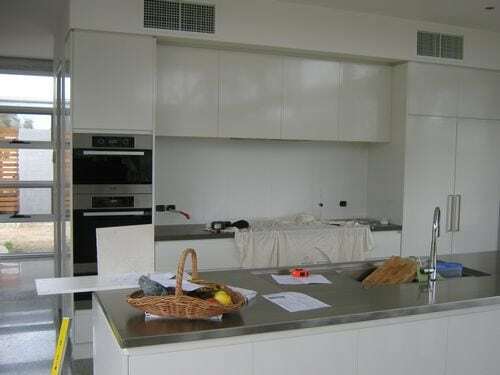 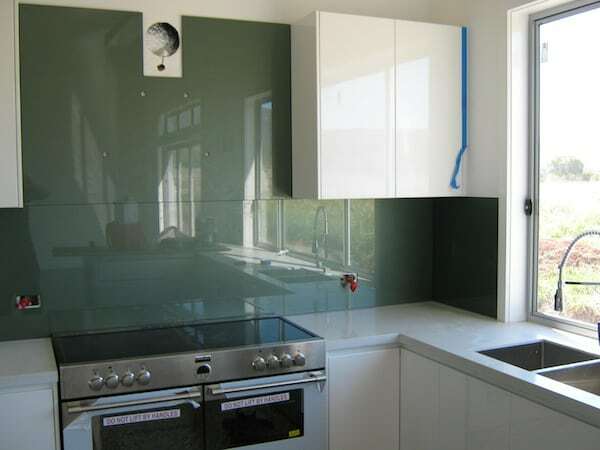 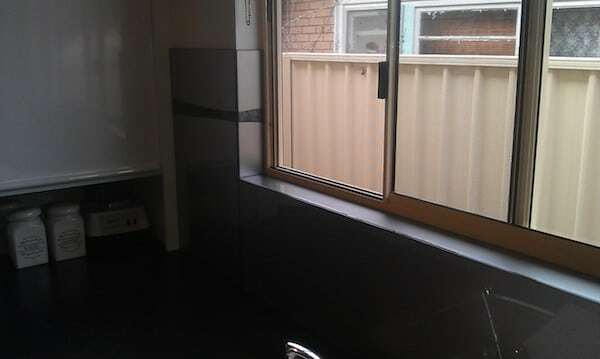 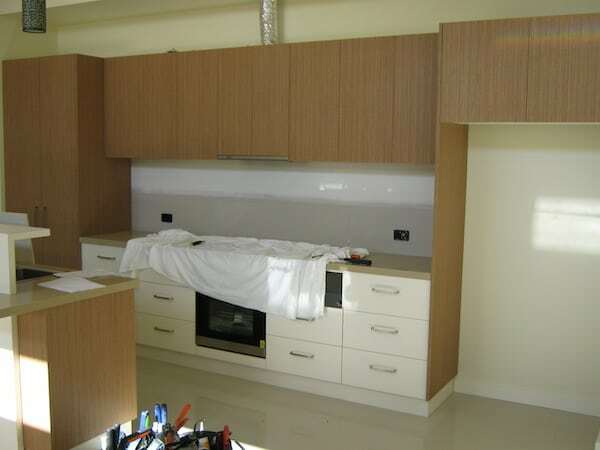 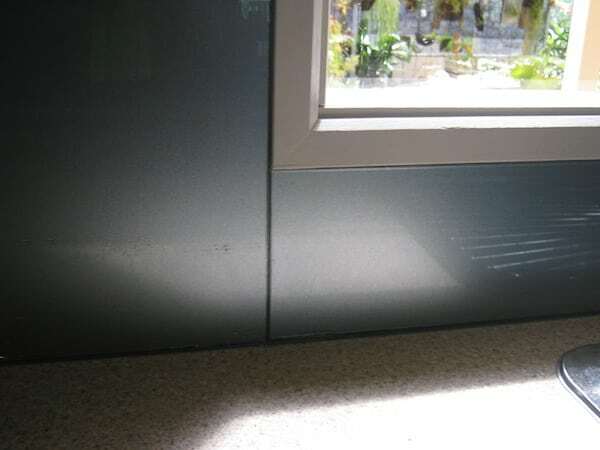 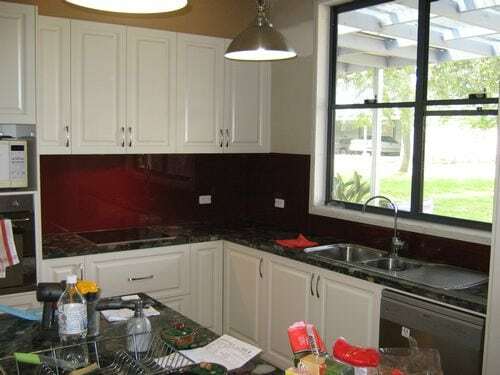 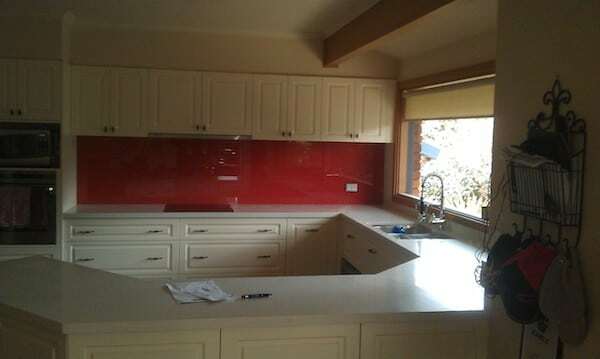 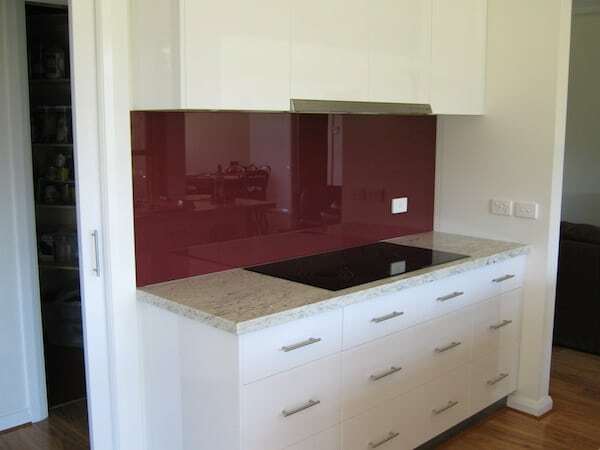 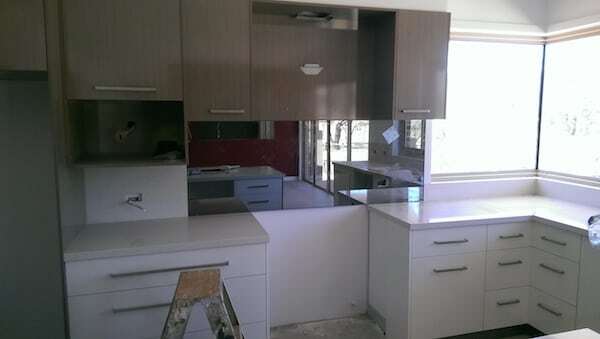 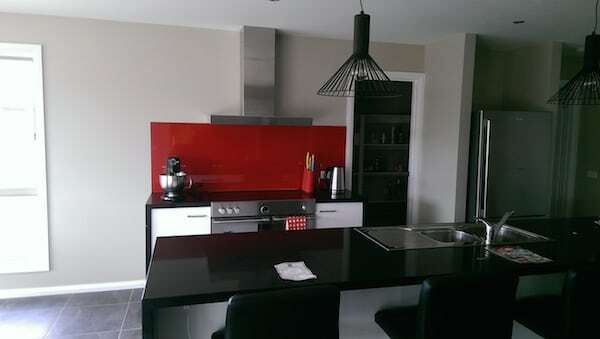 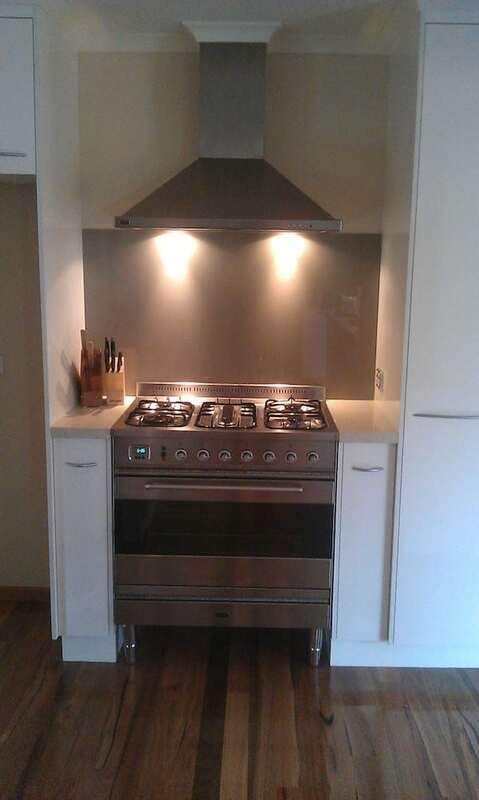 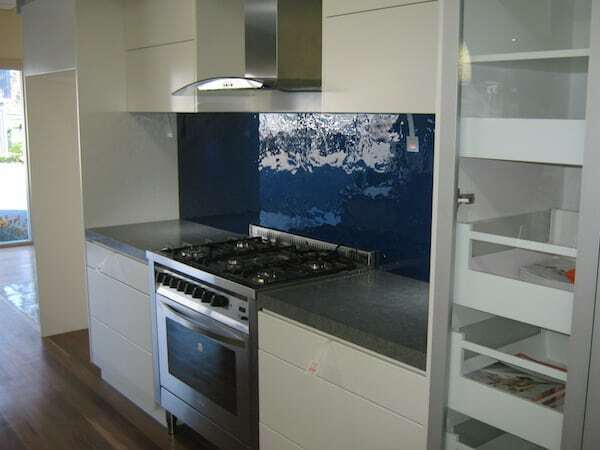 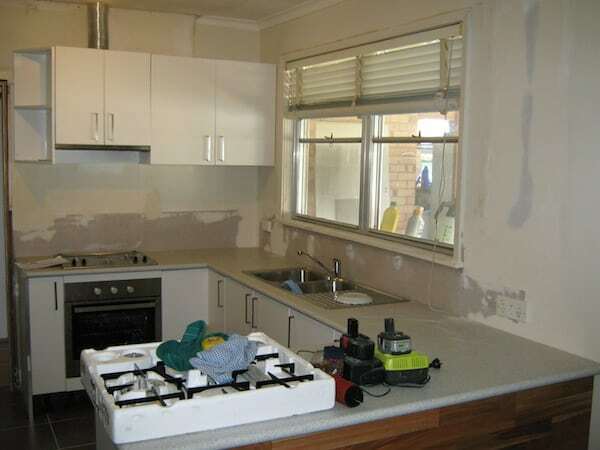 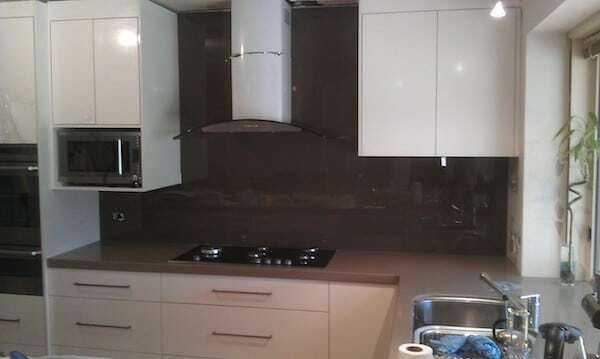 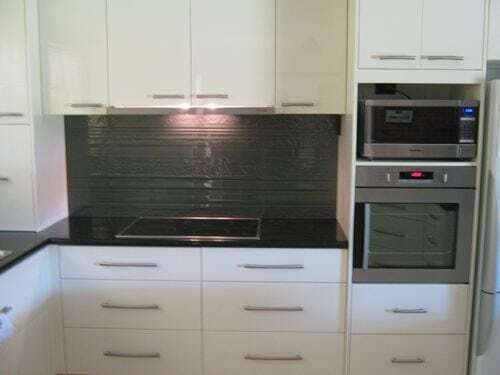 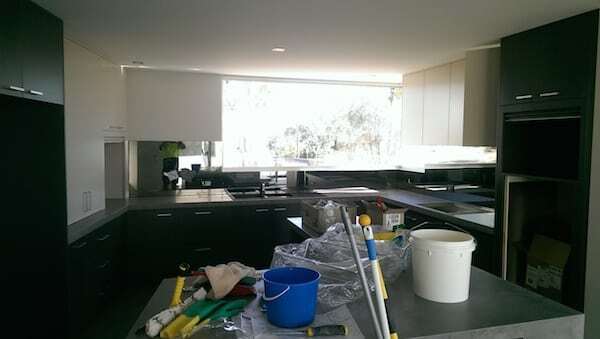 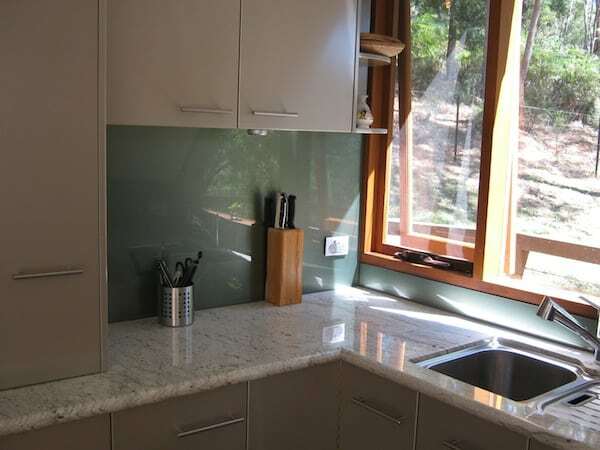 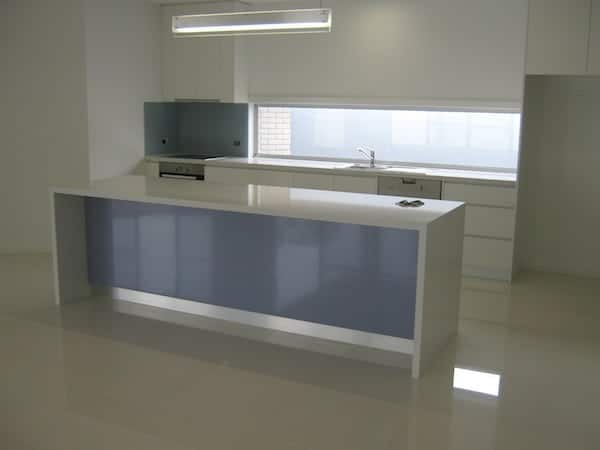 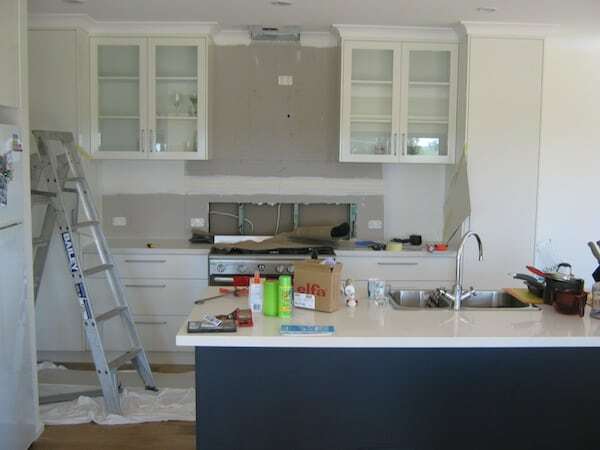 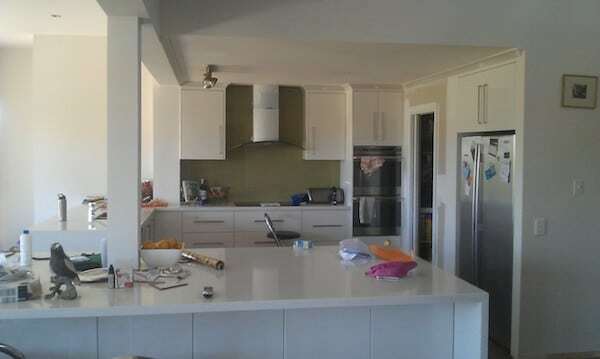 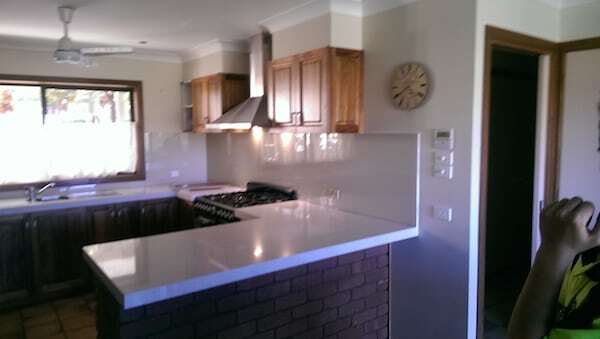 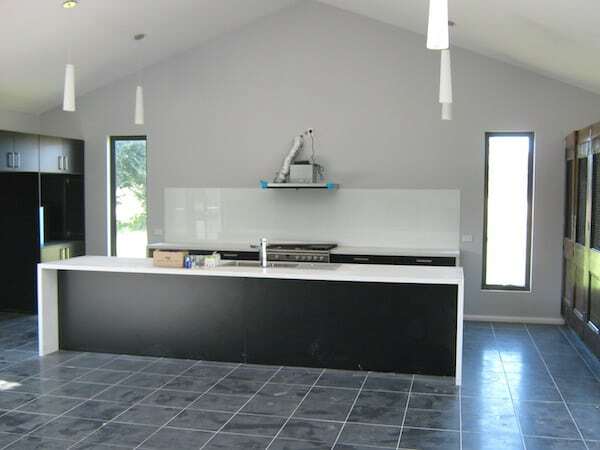 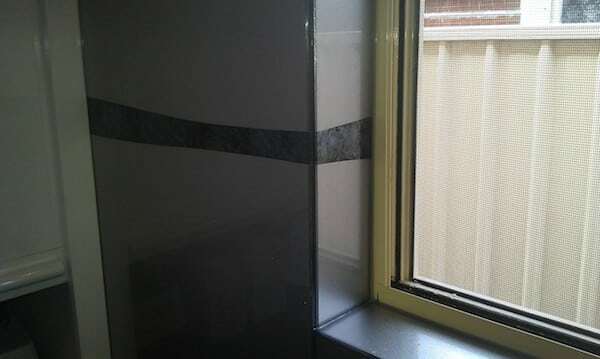 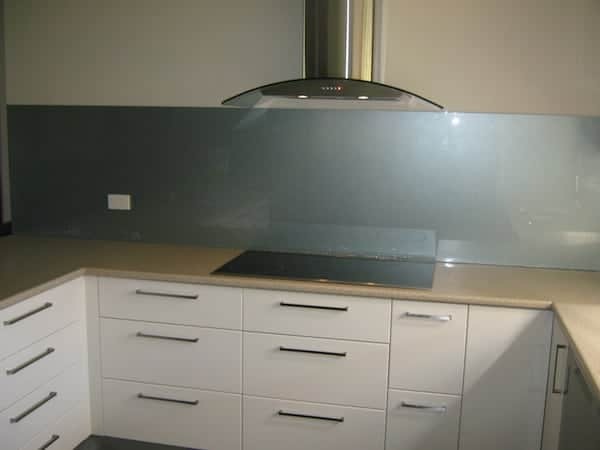 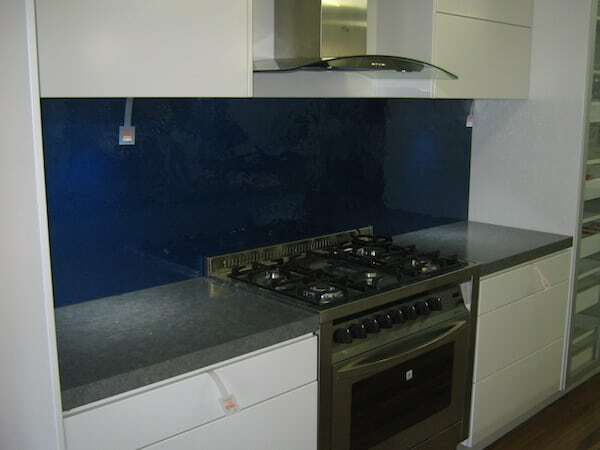 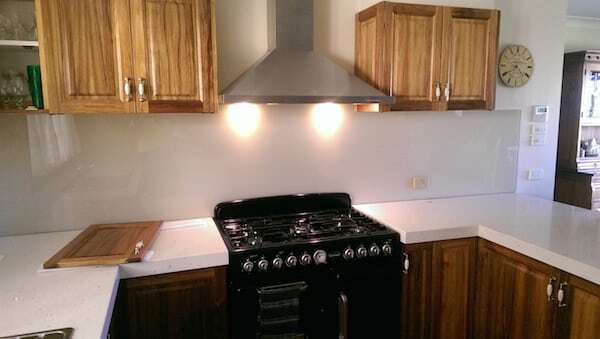 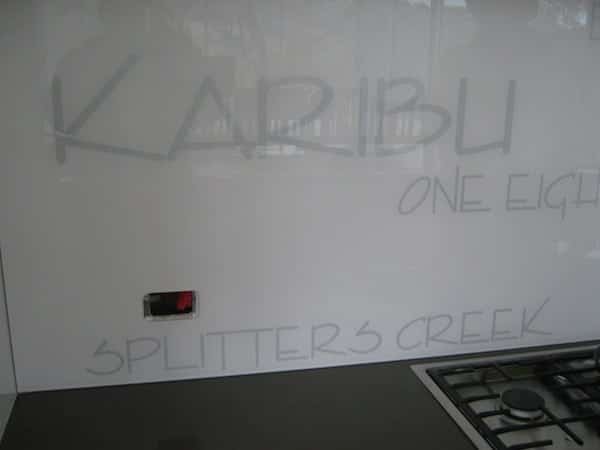 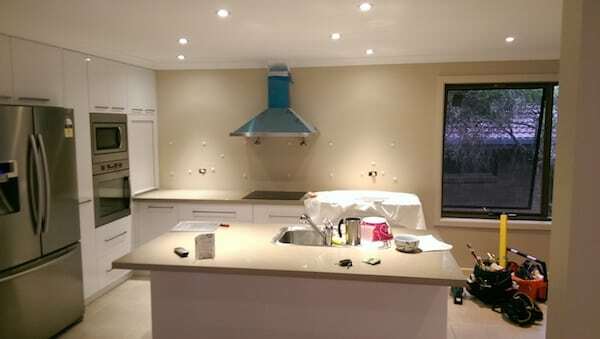 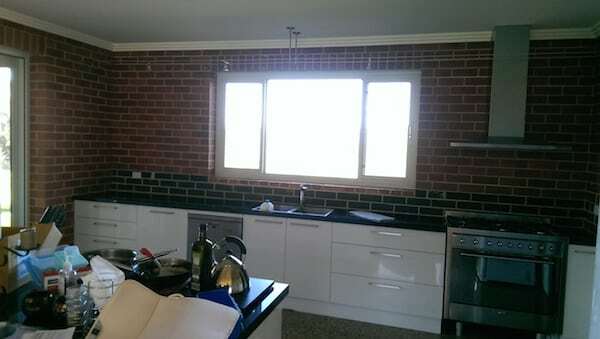 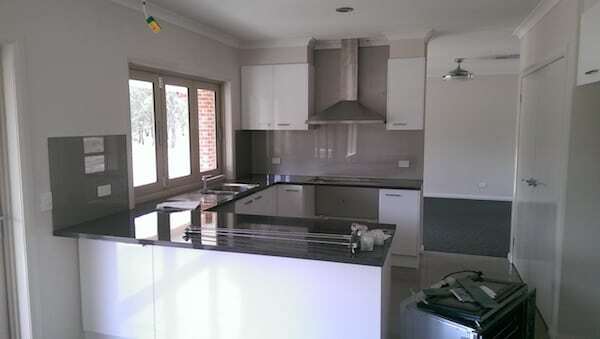 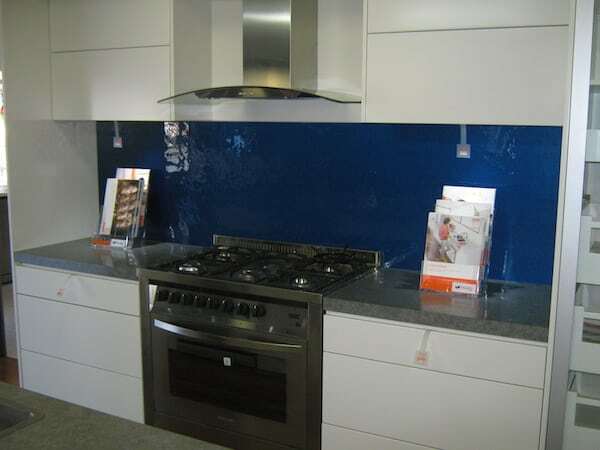 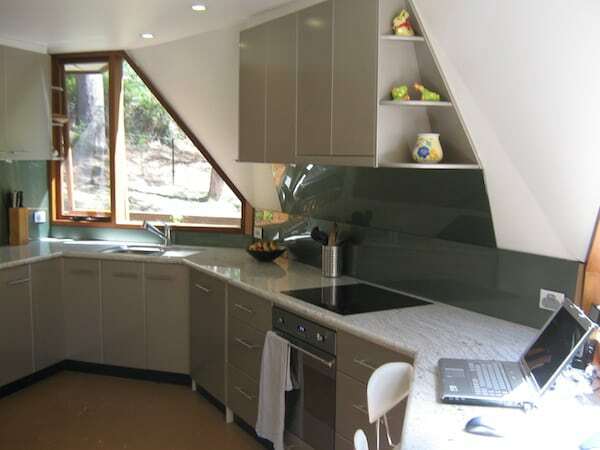 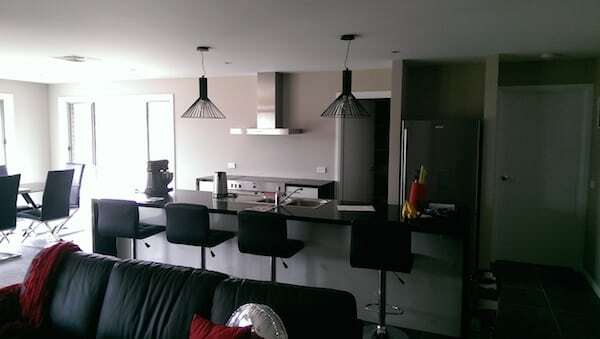 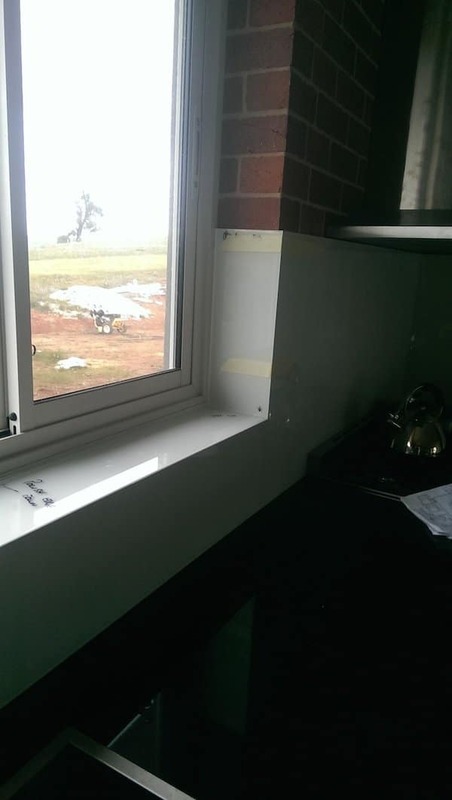 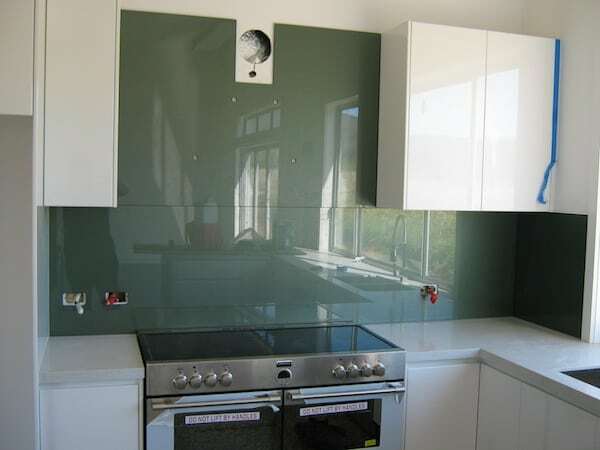 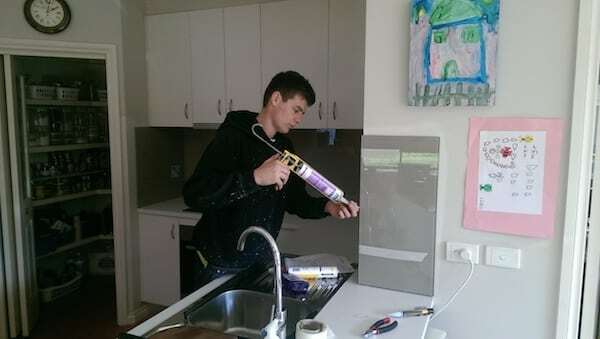 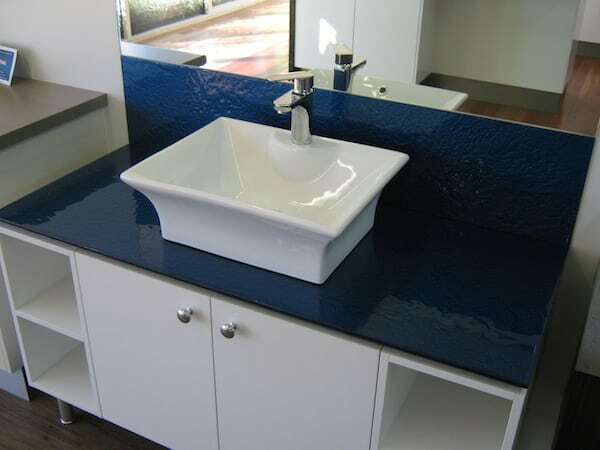 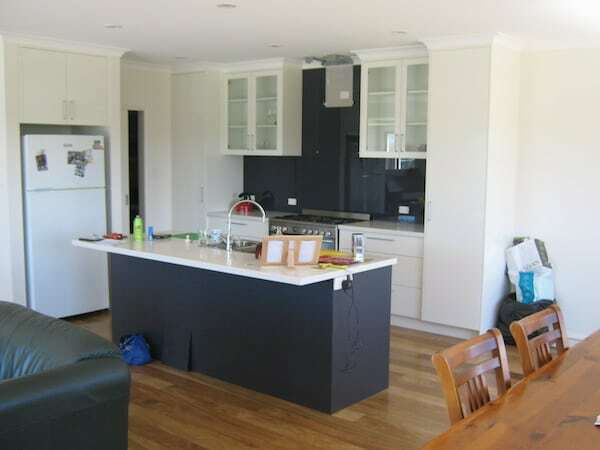 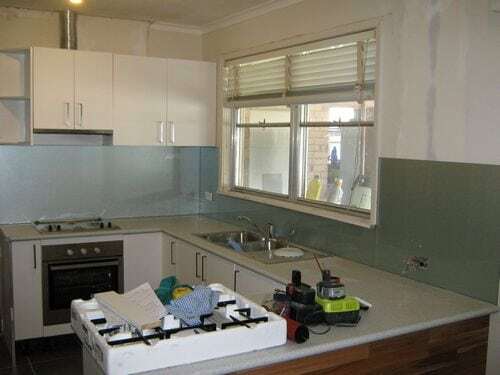 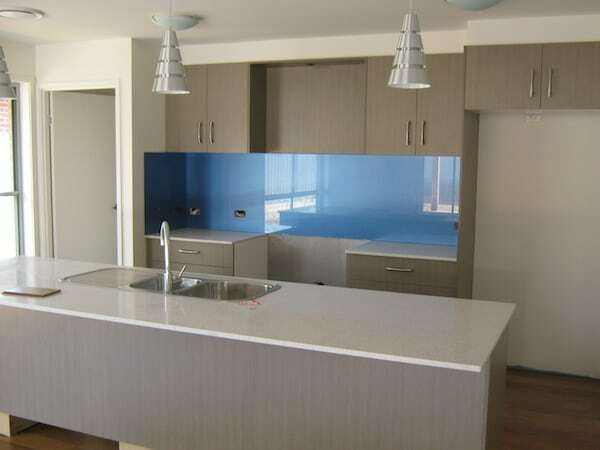 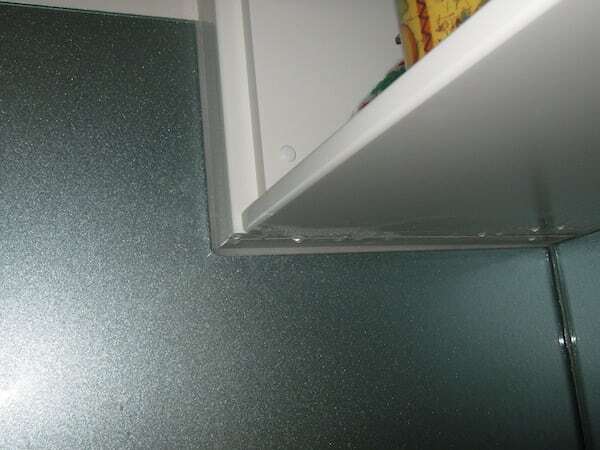 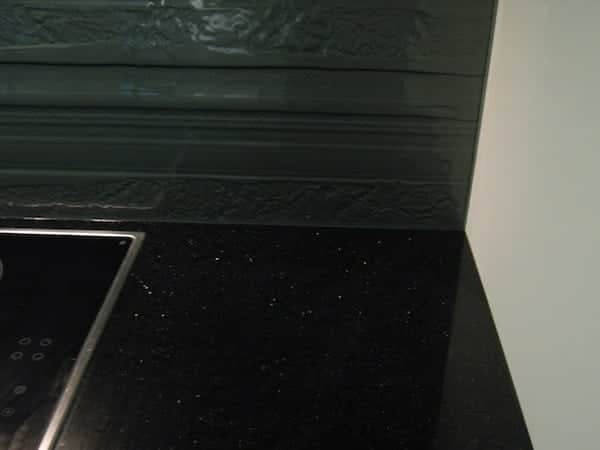 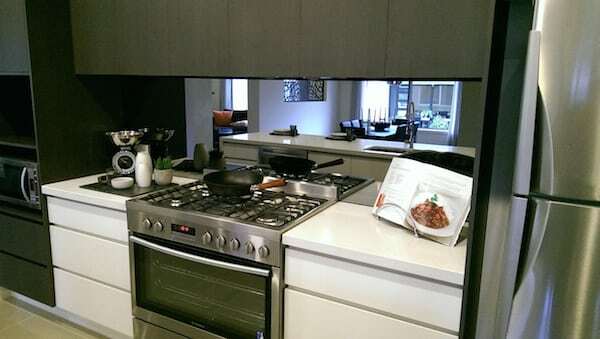 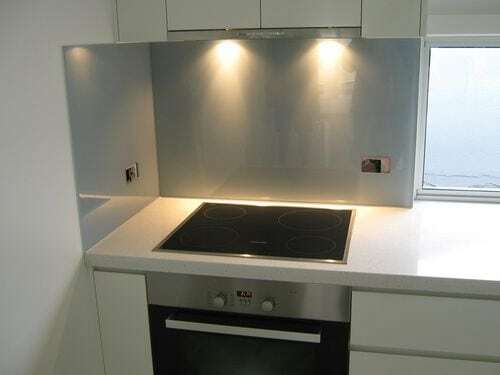 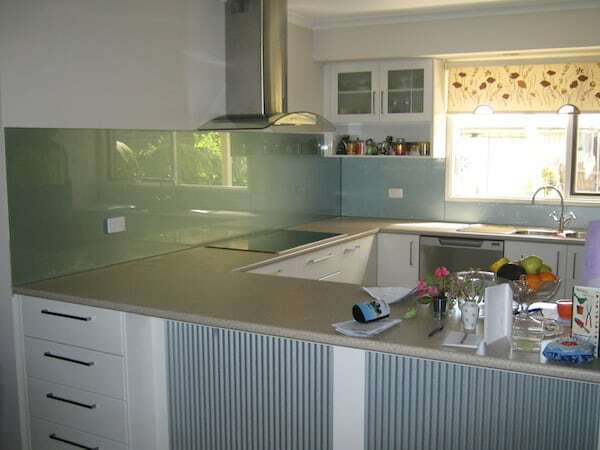 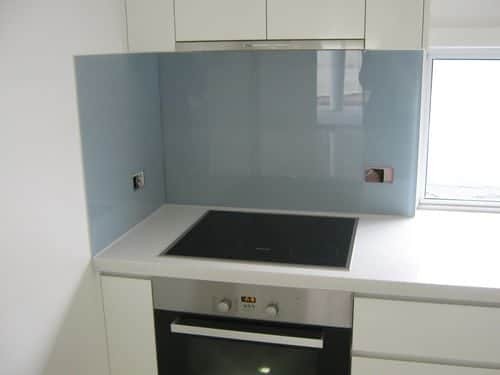 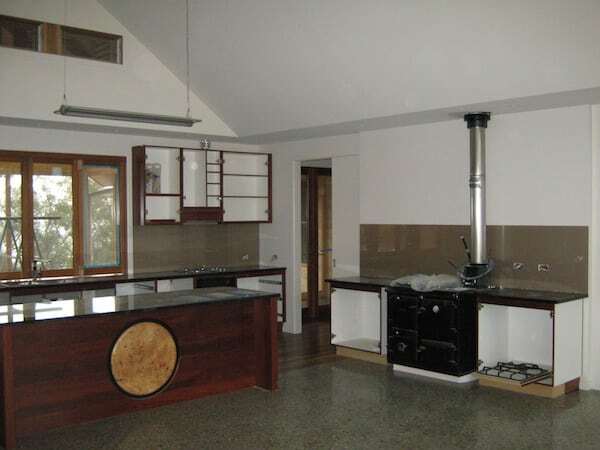 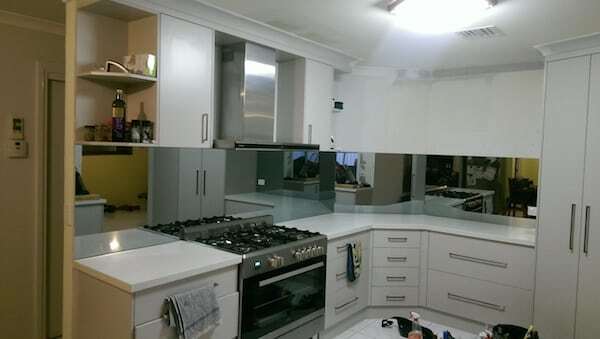 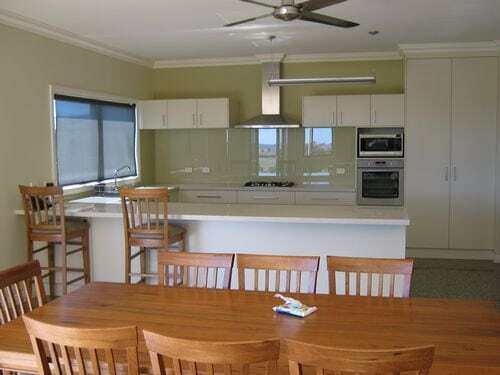 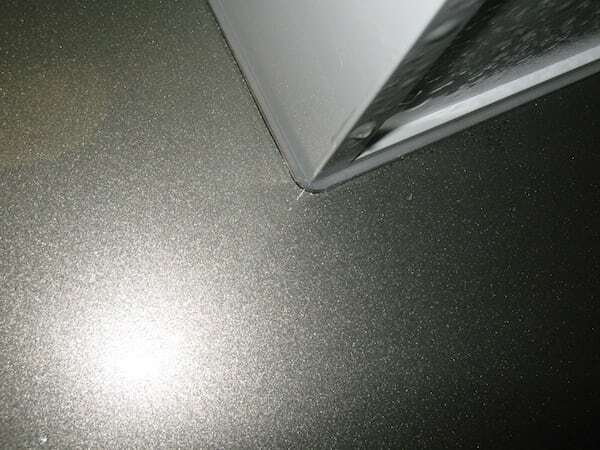 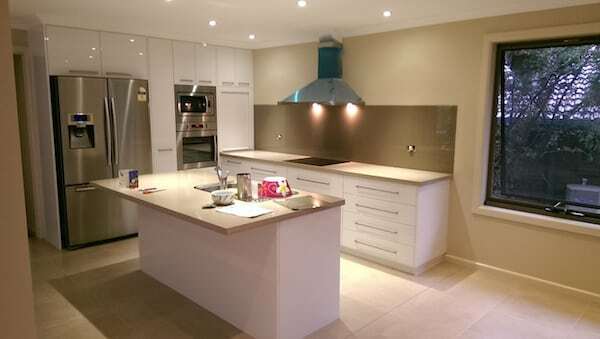 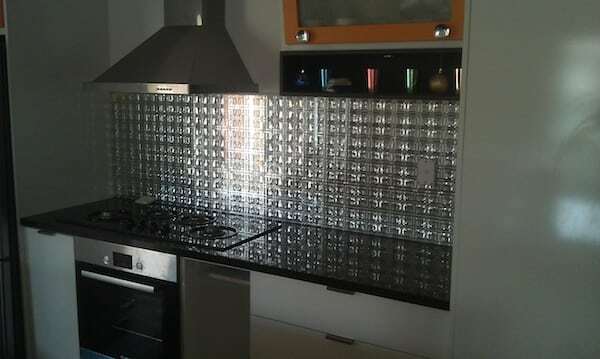 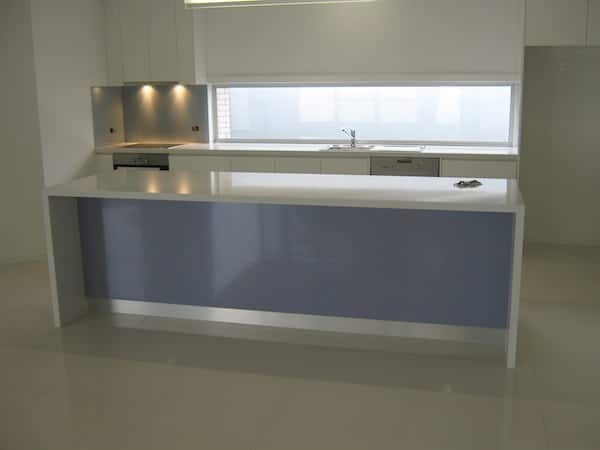 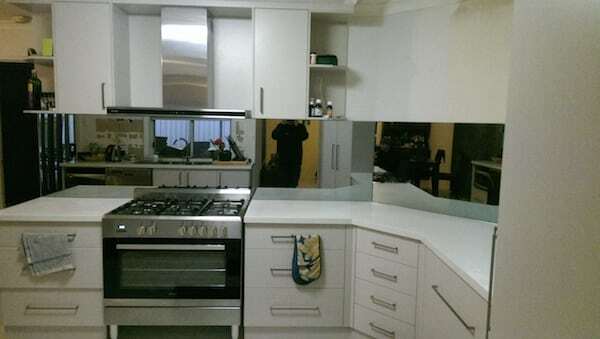 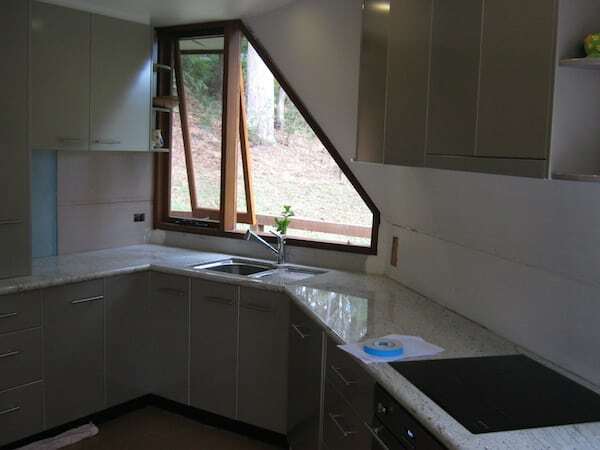 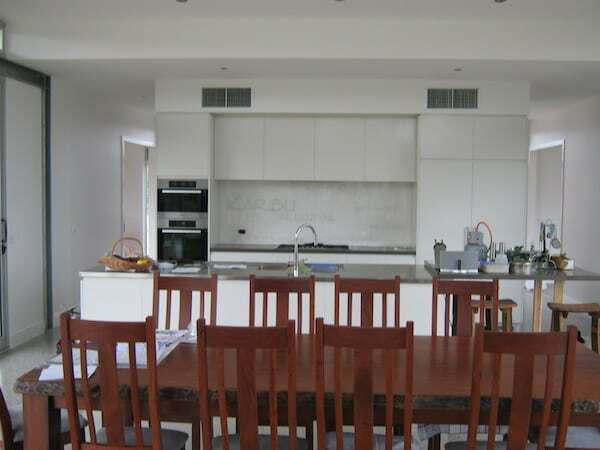 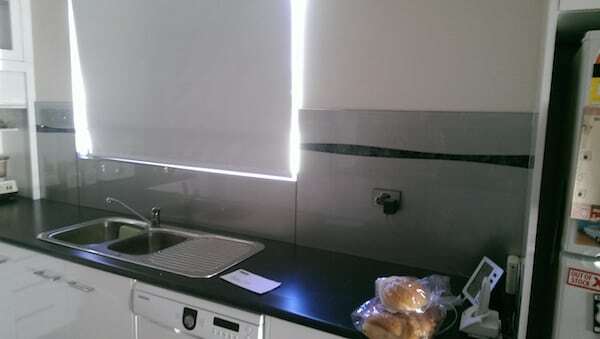 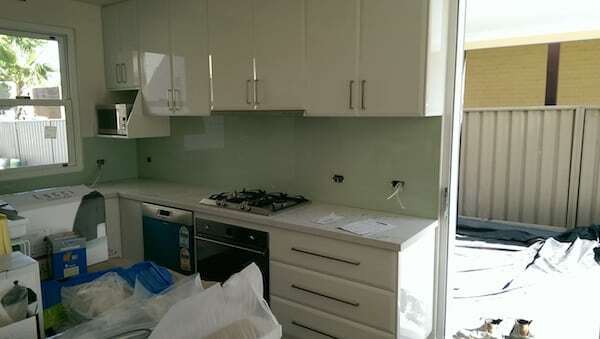 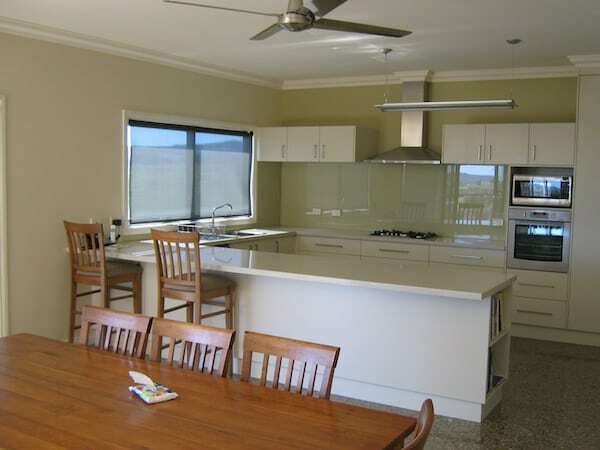 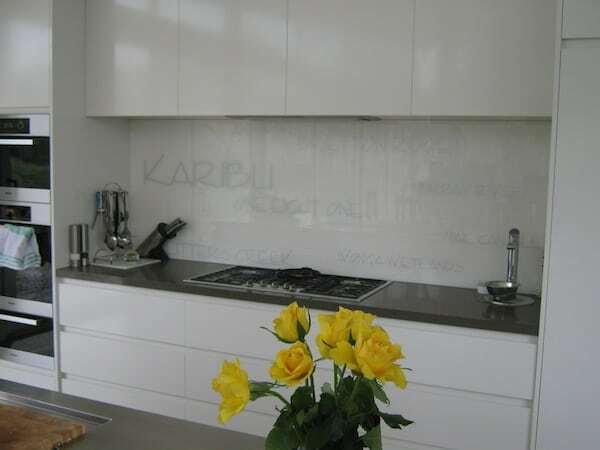 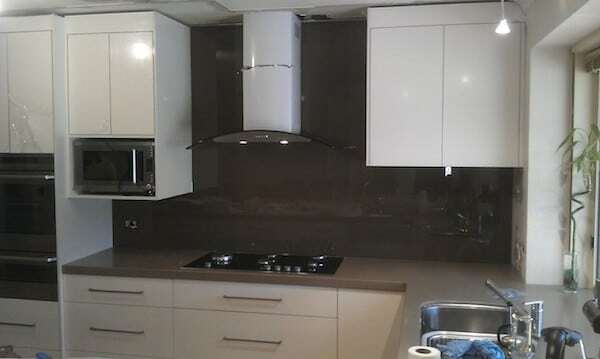 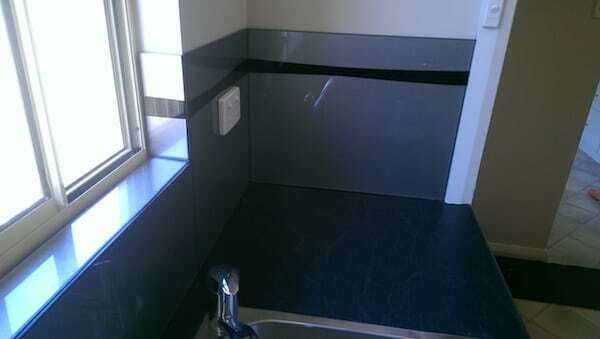 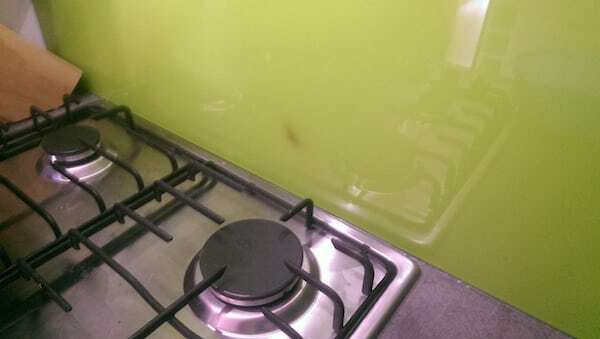 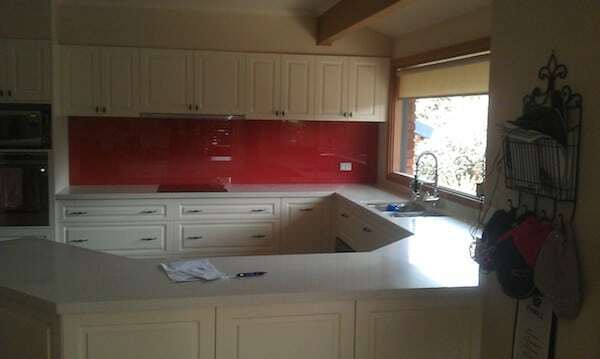 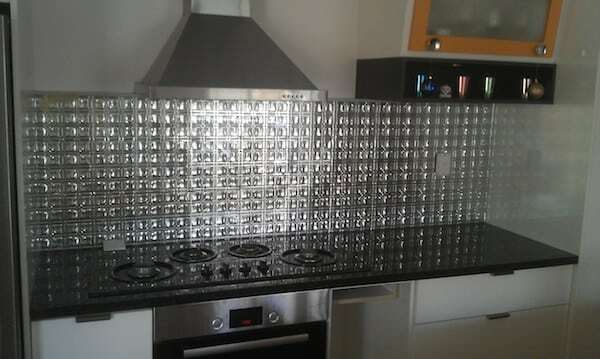 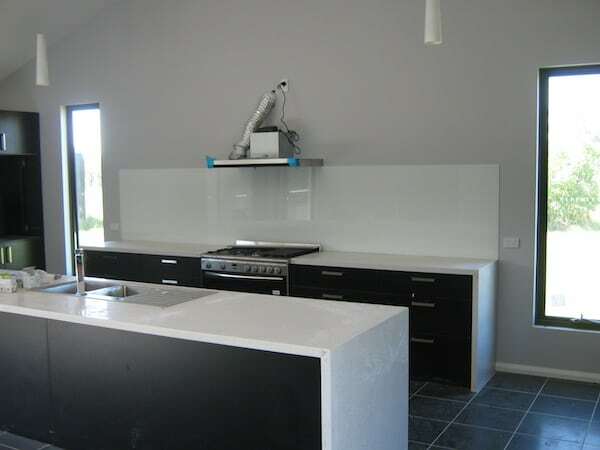 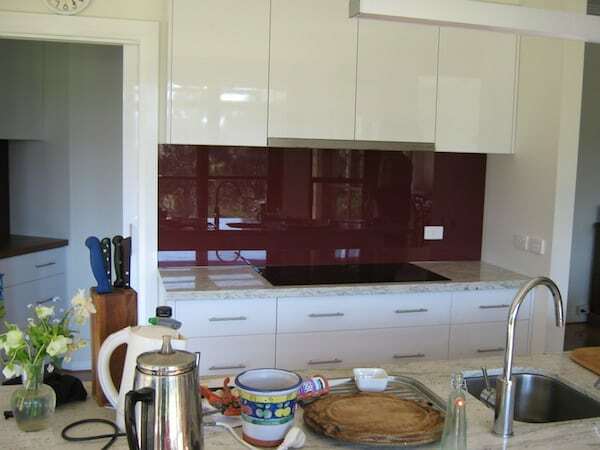 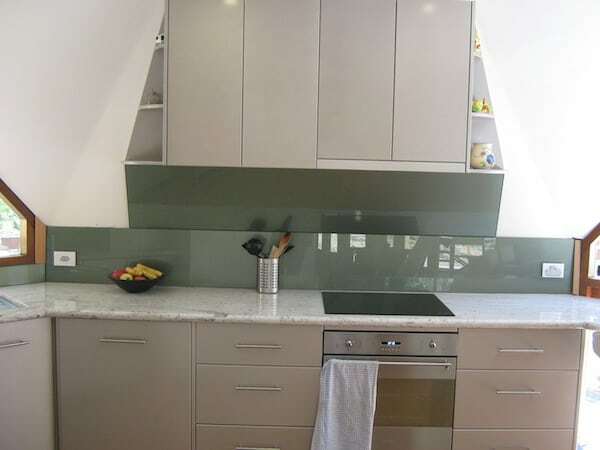 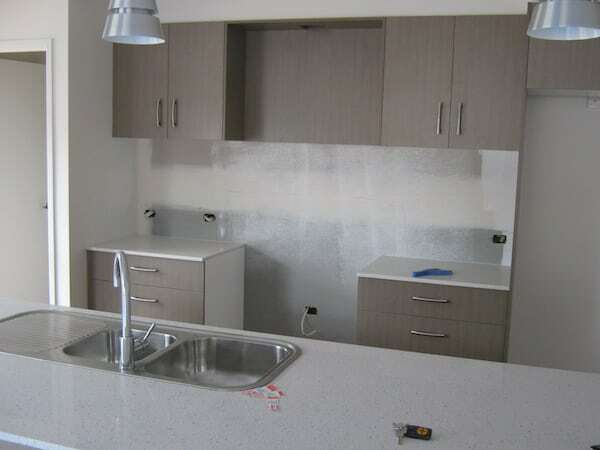 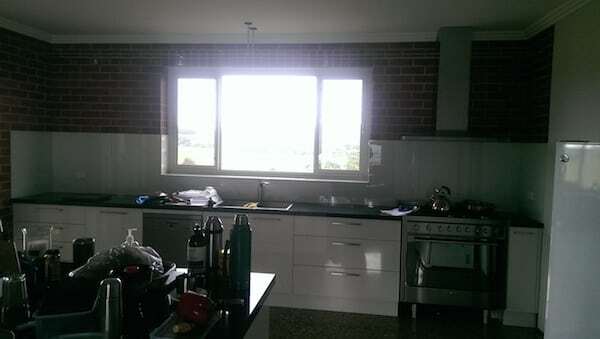 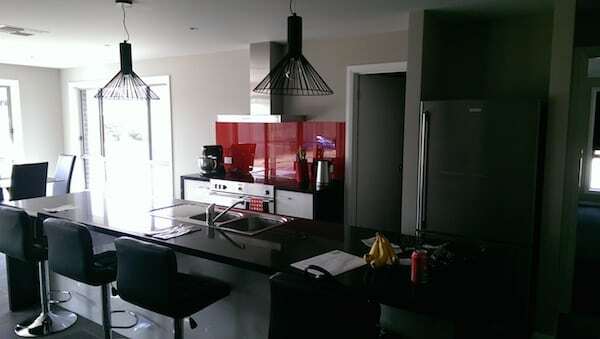 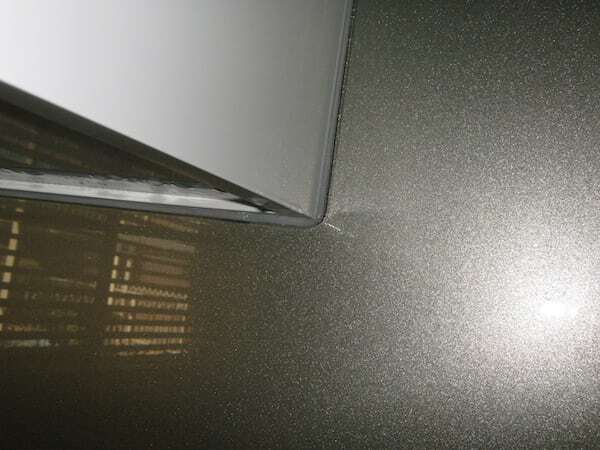 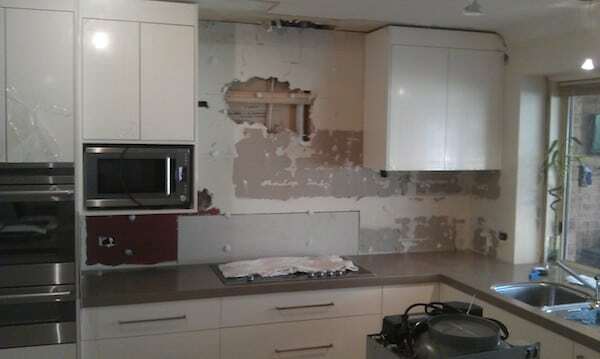 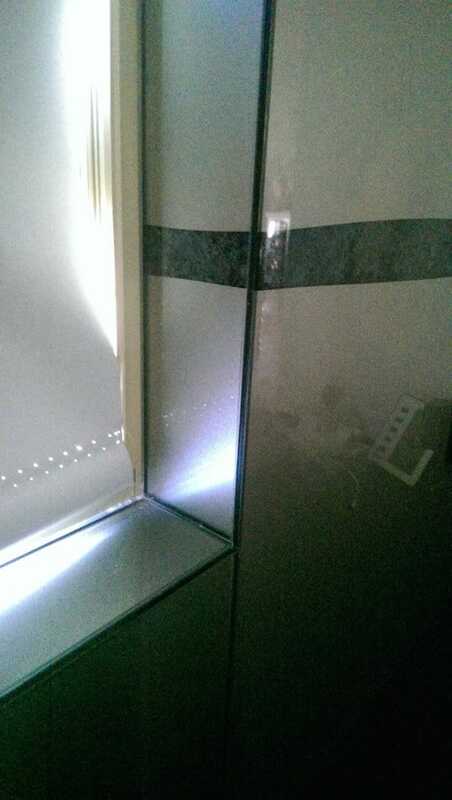 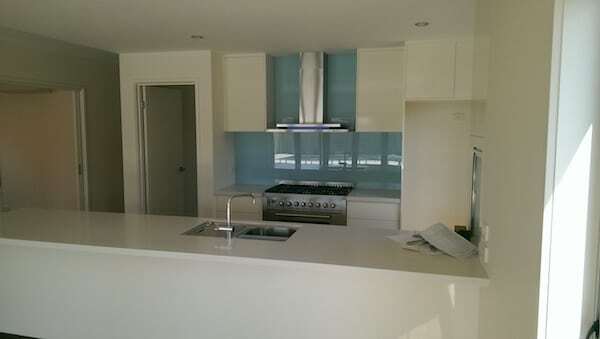 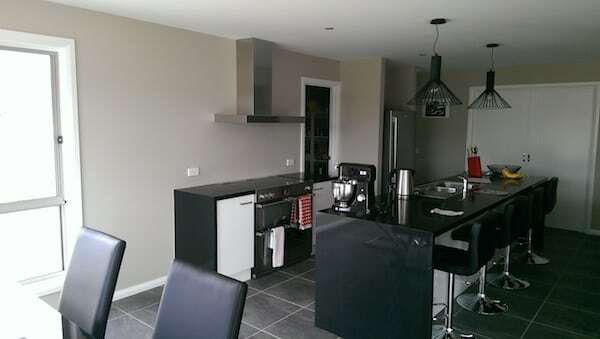 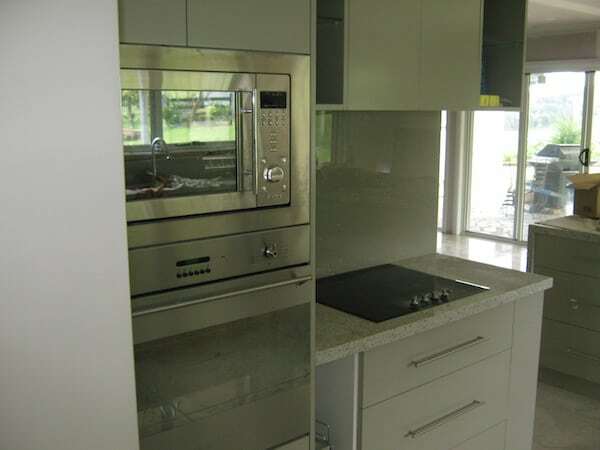 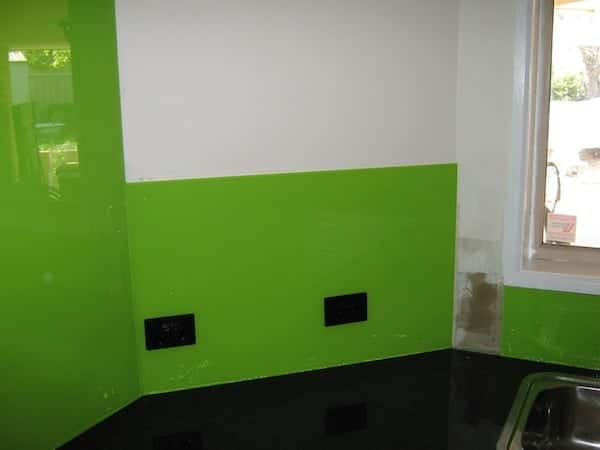 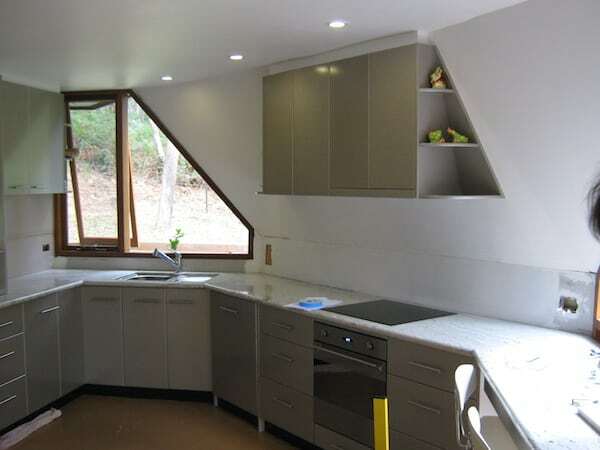 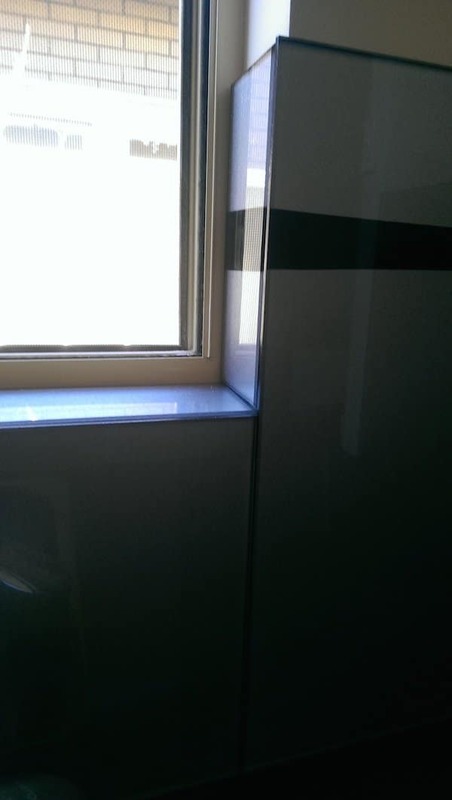 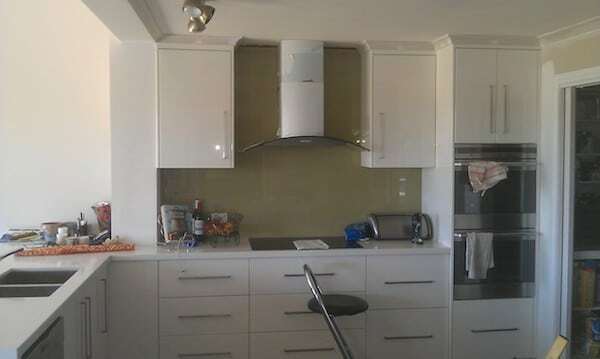 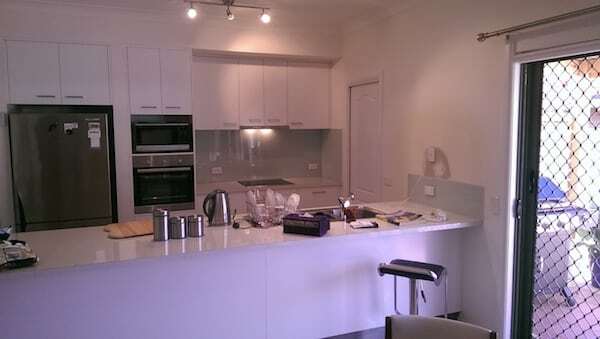 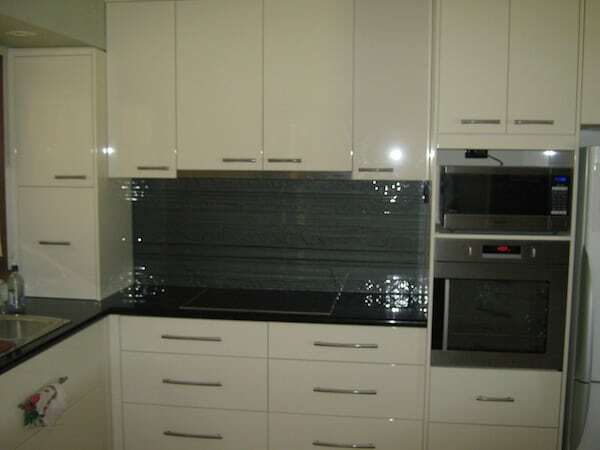 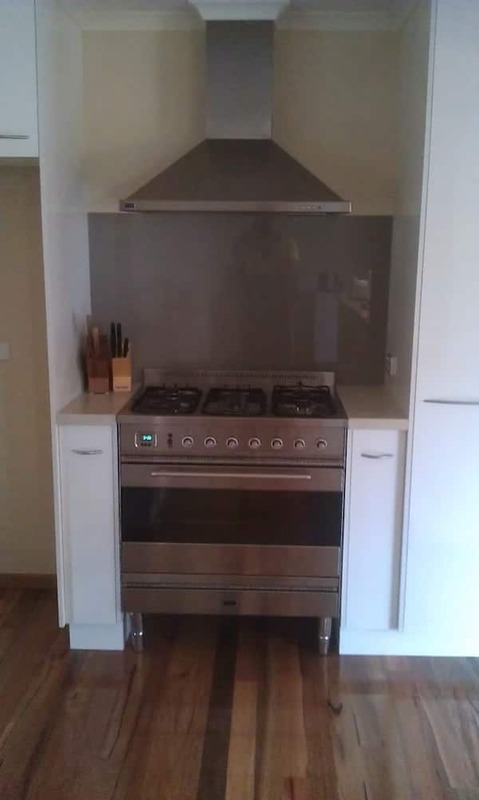 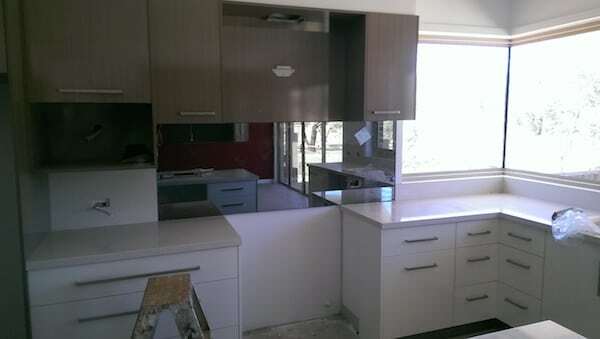 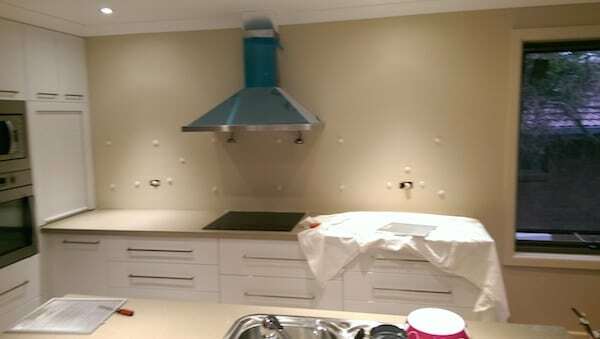 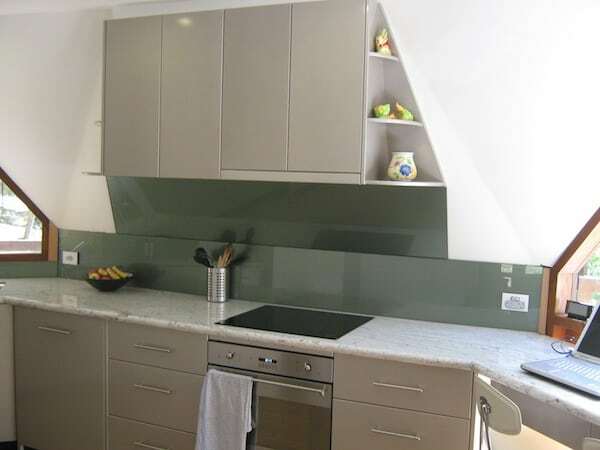 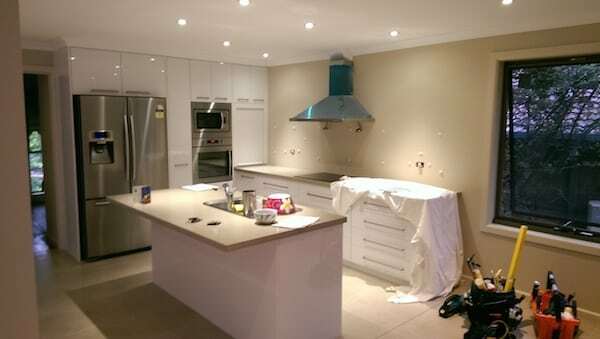 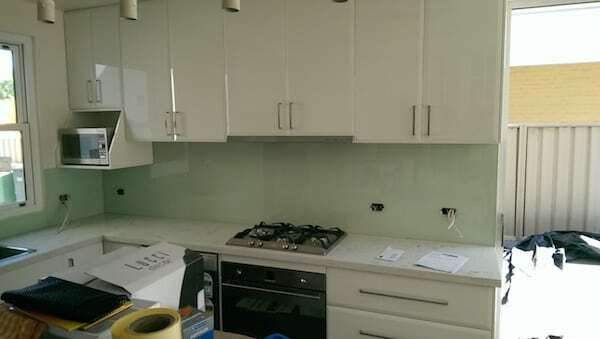 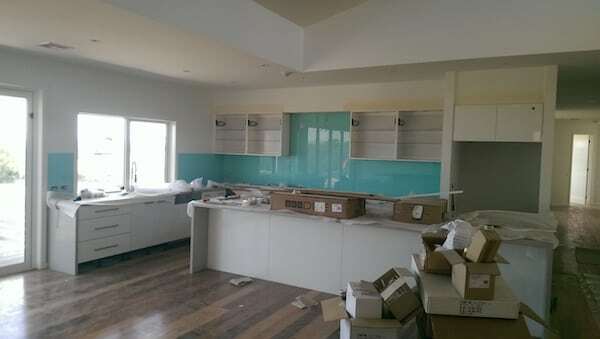 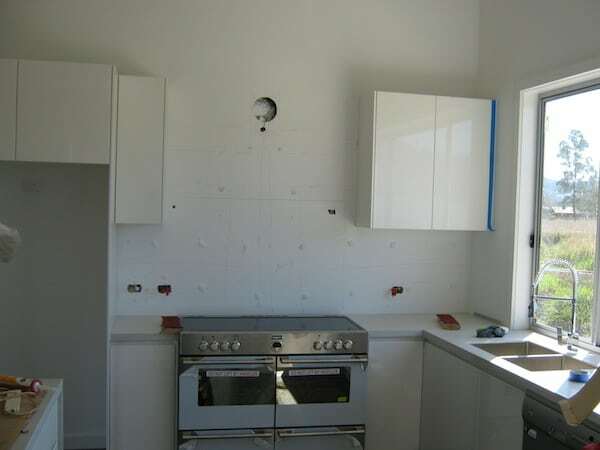 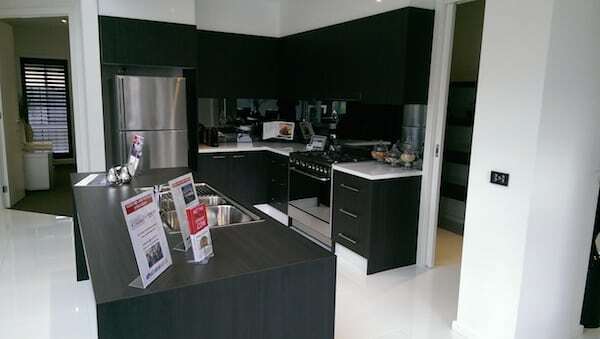 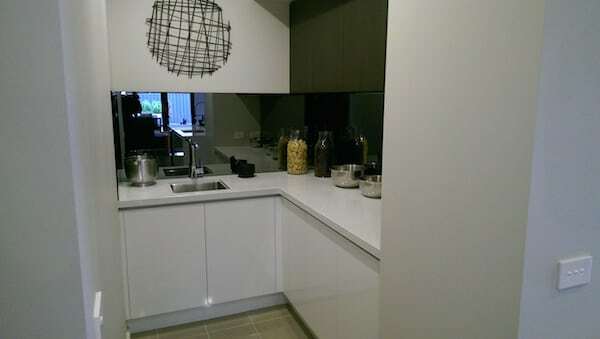 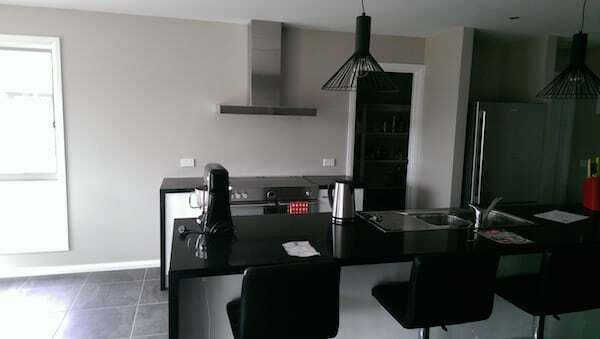 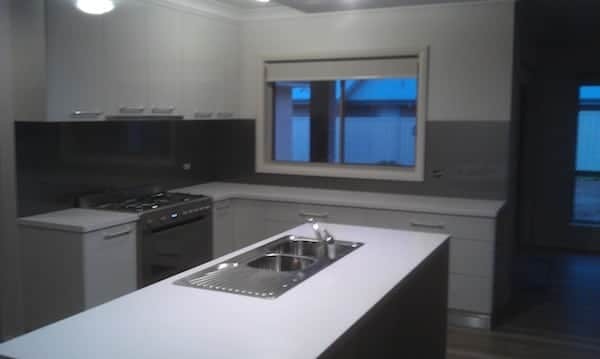 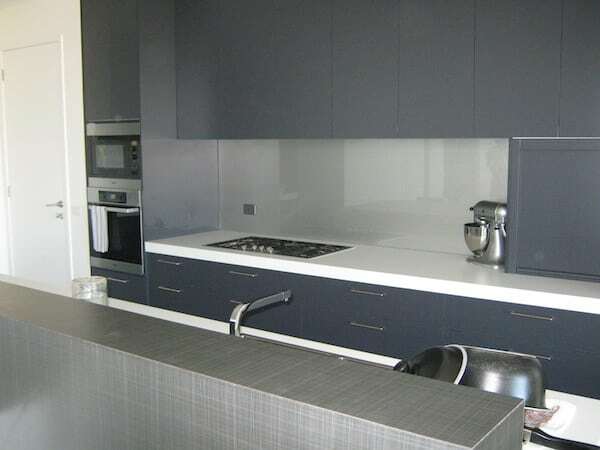 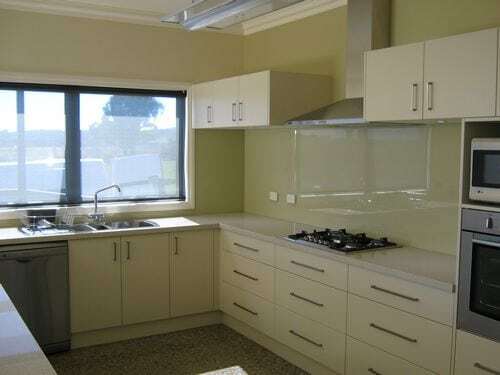 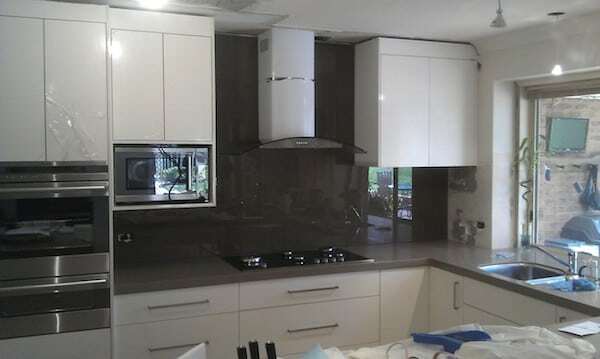 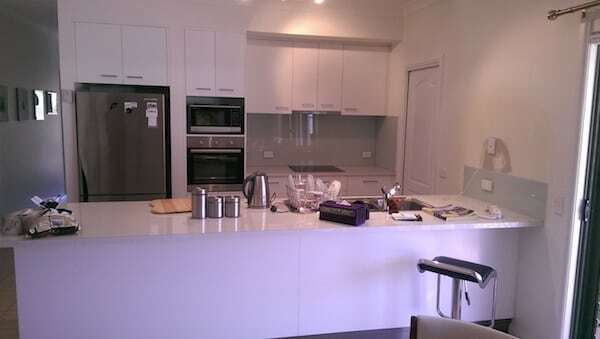 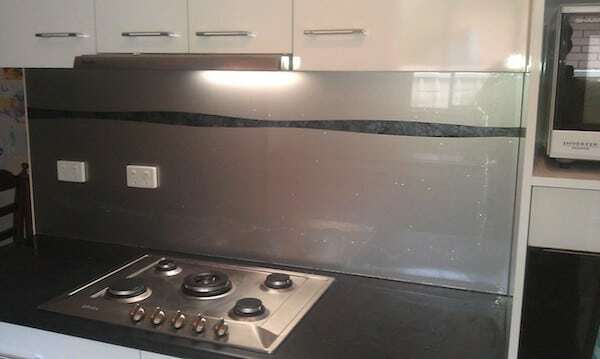 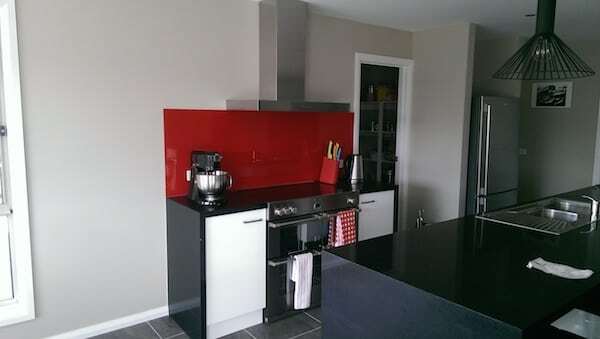 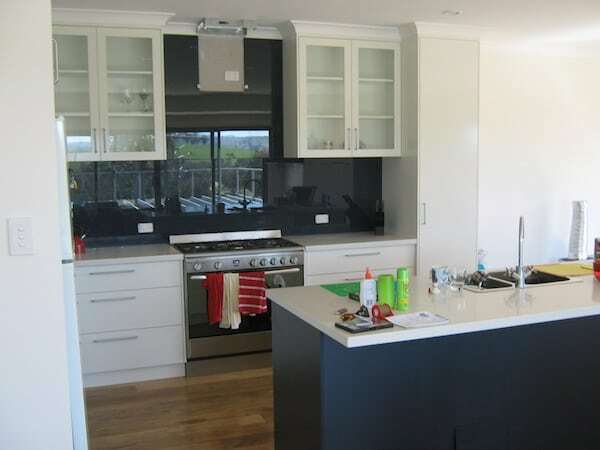 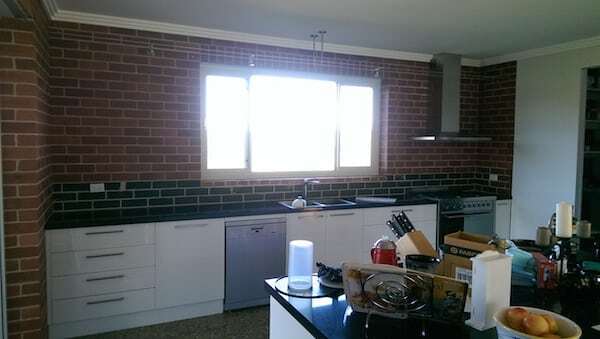 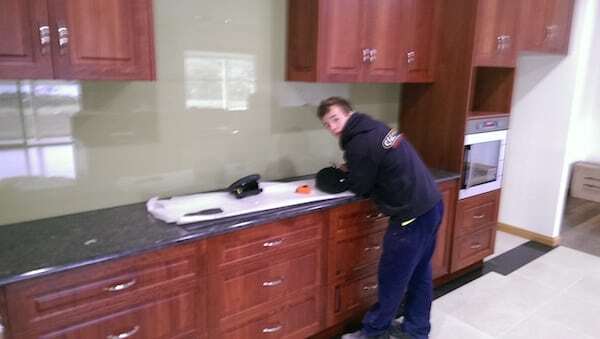 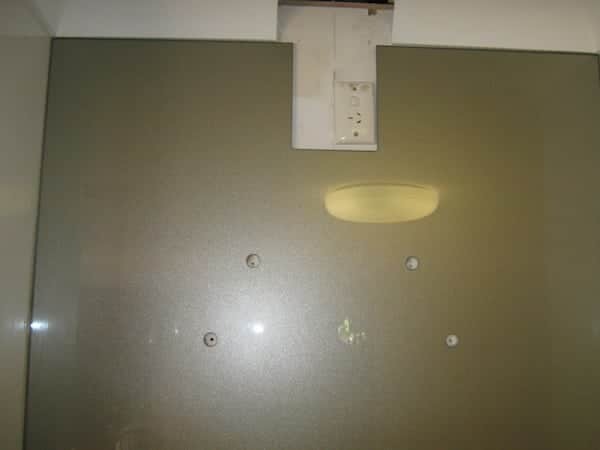 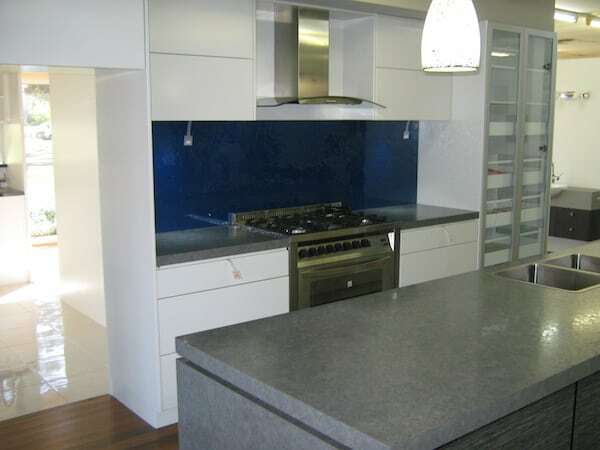 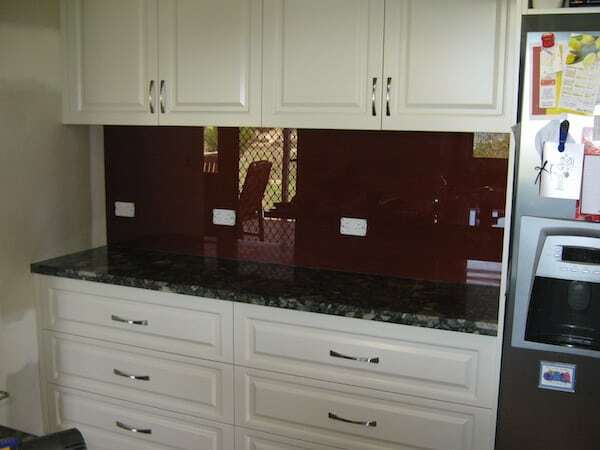 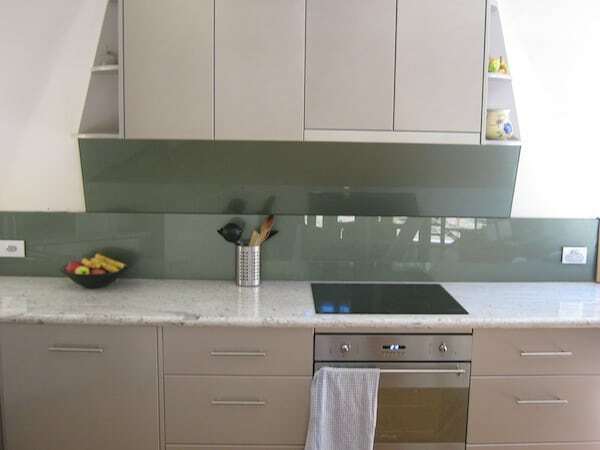 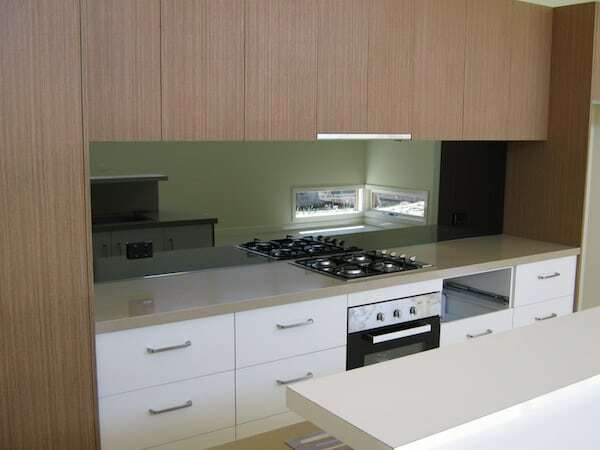 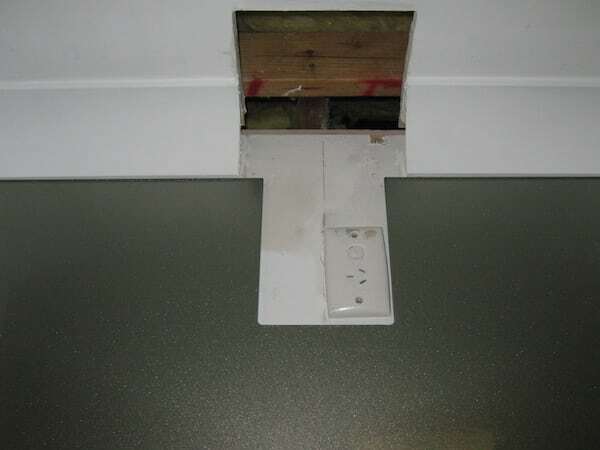 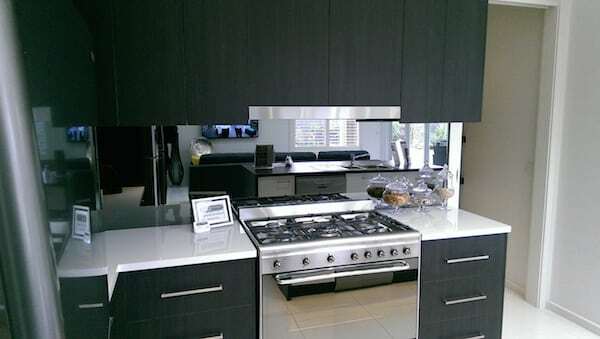 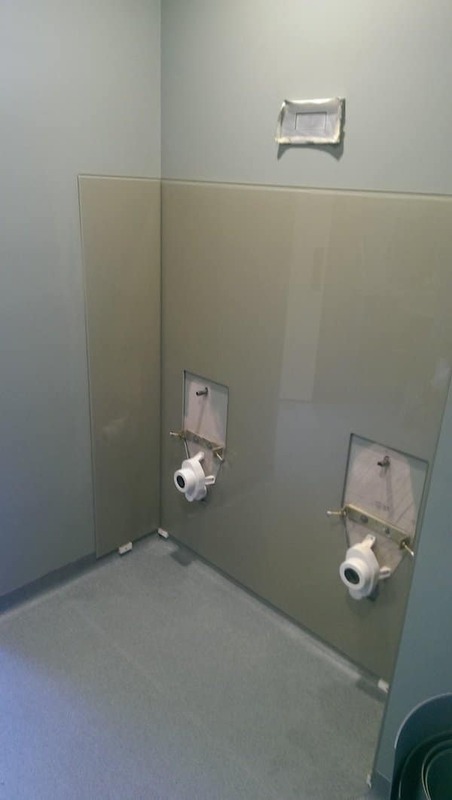 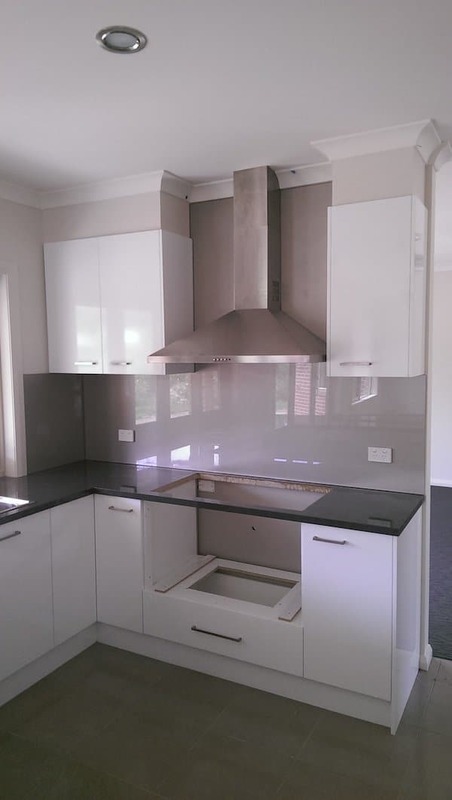 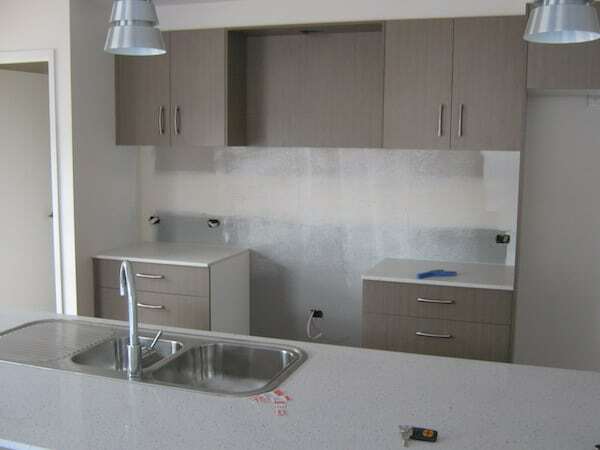 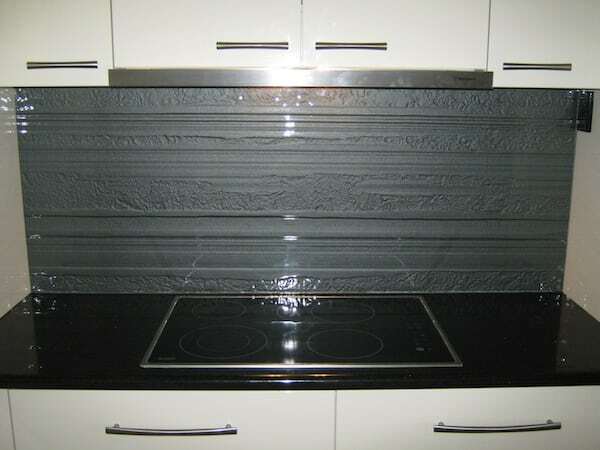 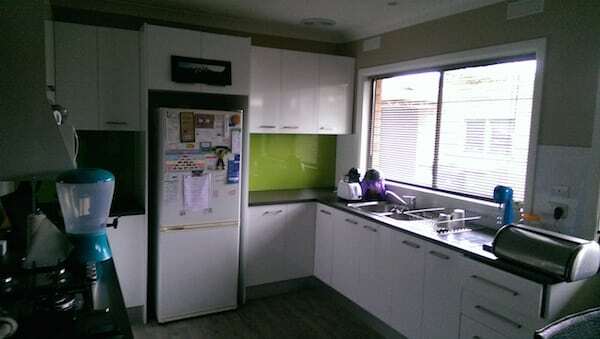 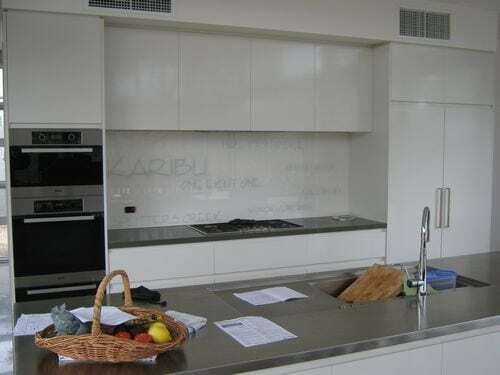 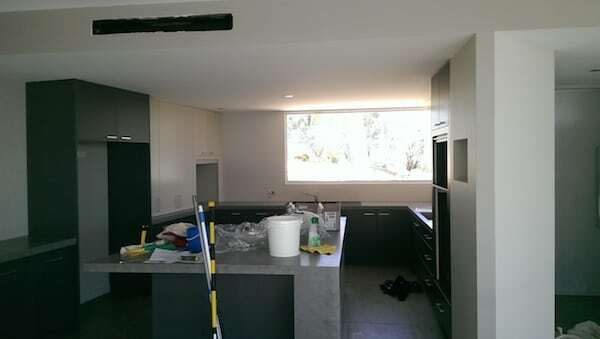 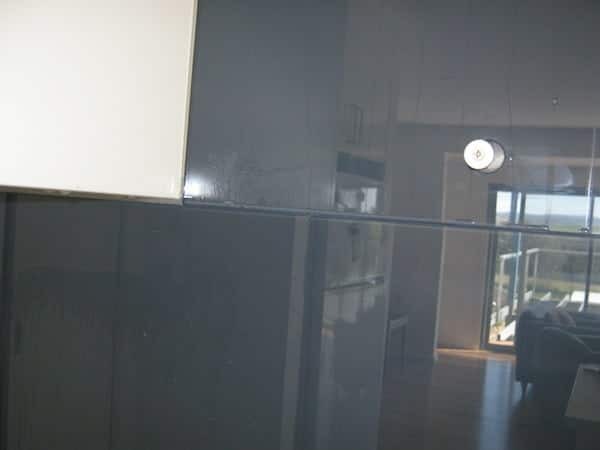 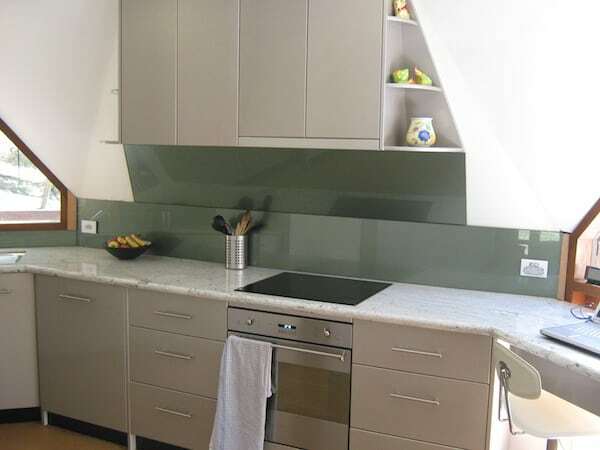 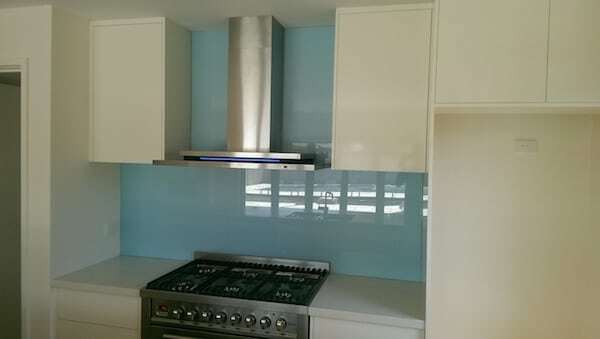 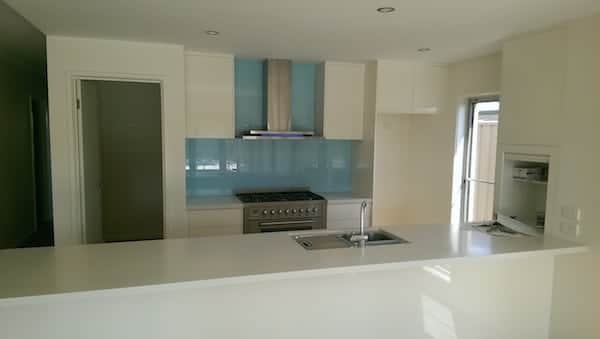 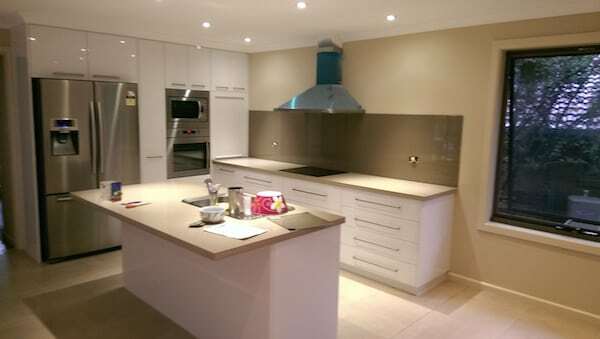 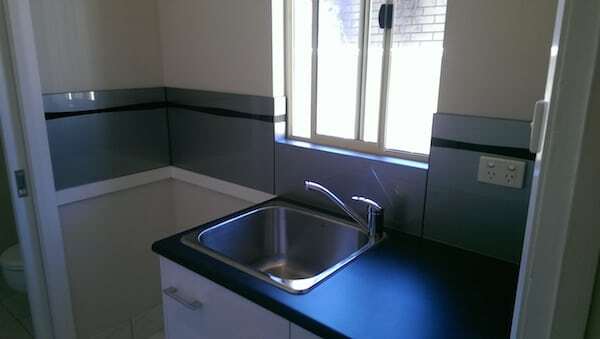 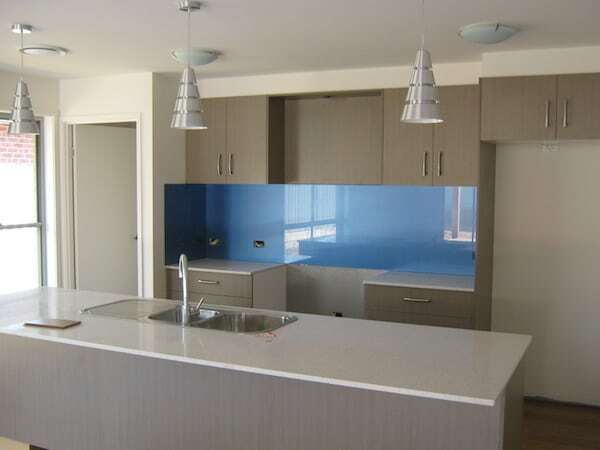 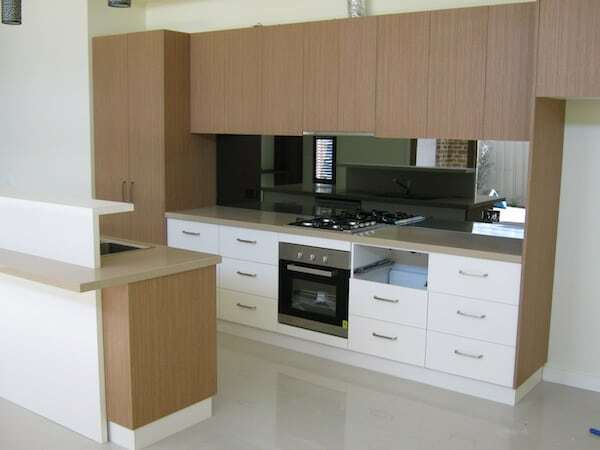 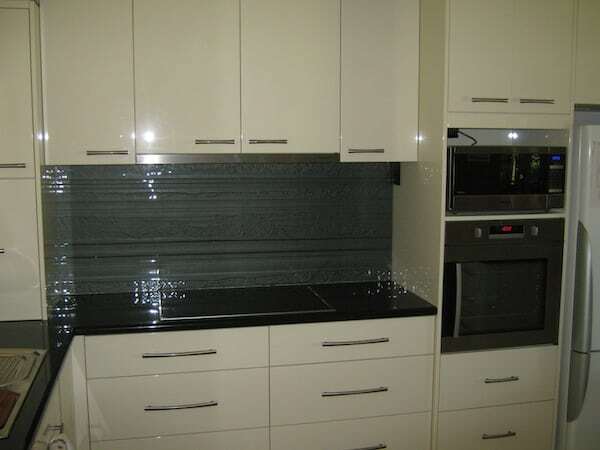 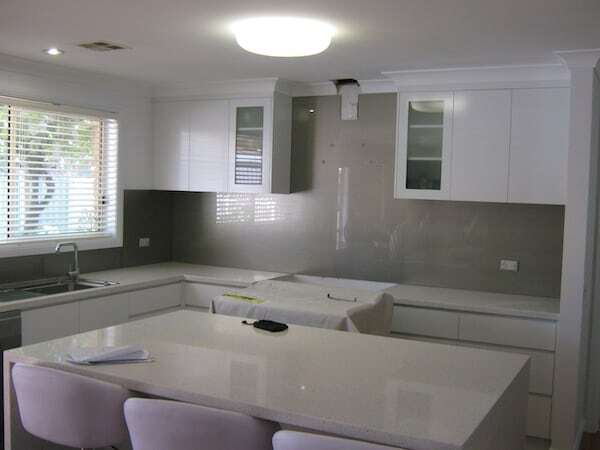 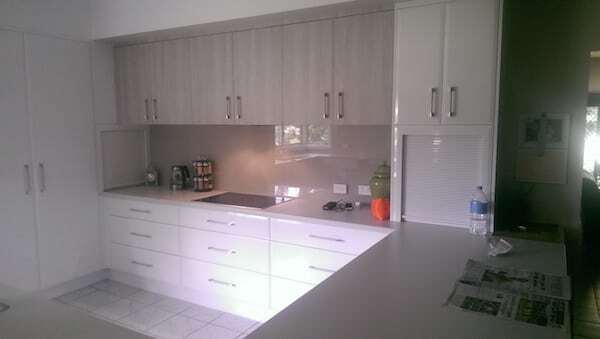 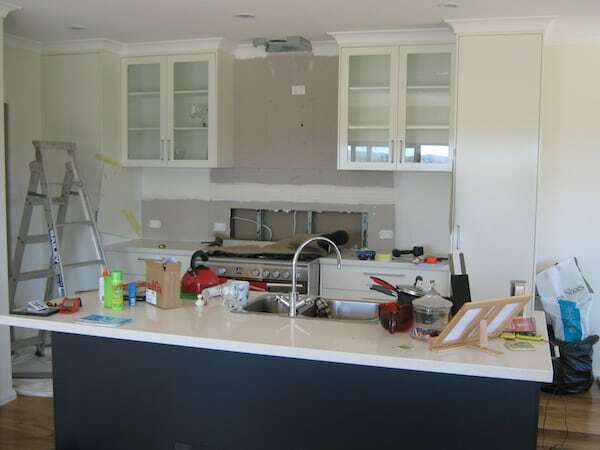 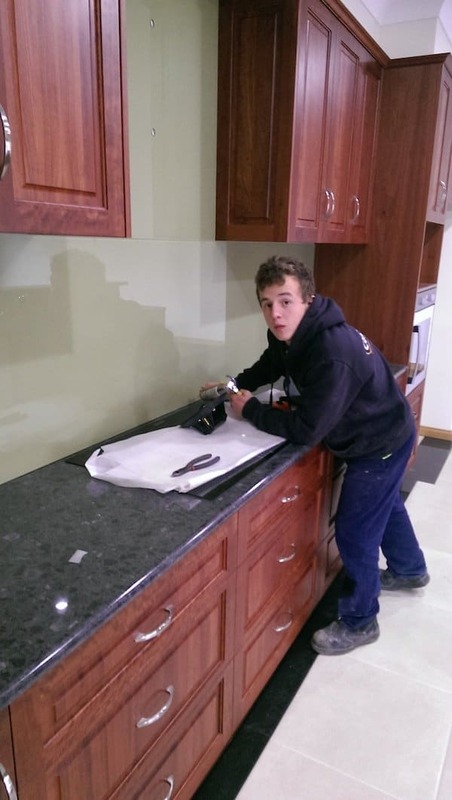 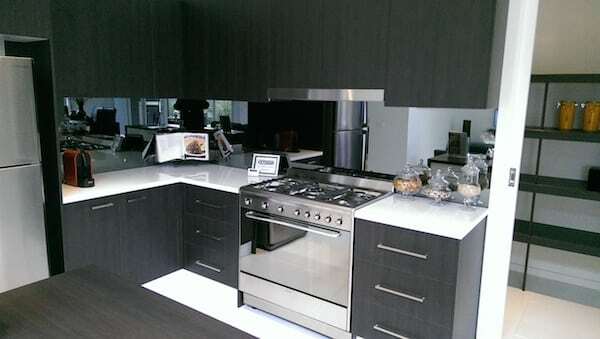 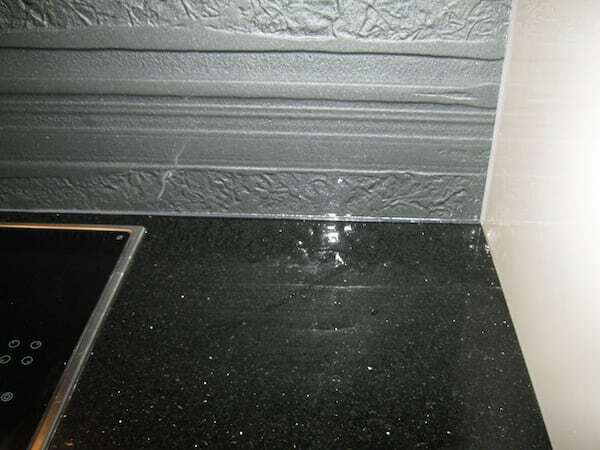 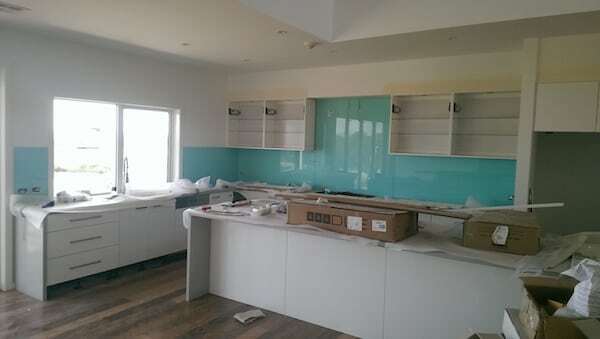 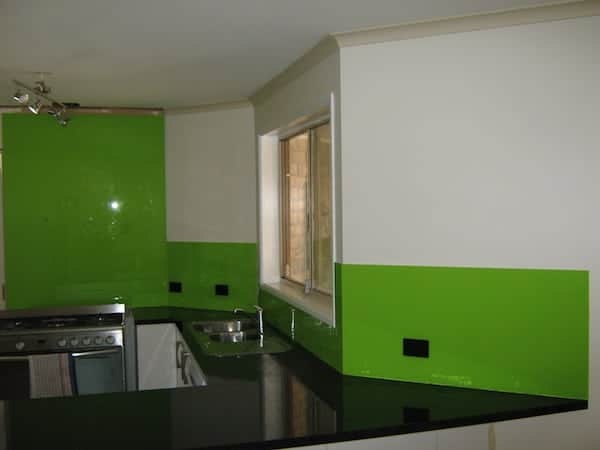 The use of coloured glass splashbacks has increased dramatically over the past few years. 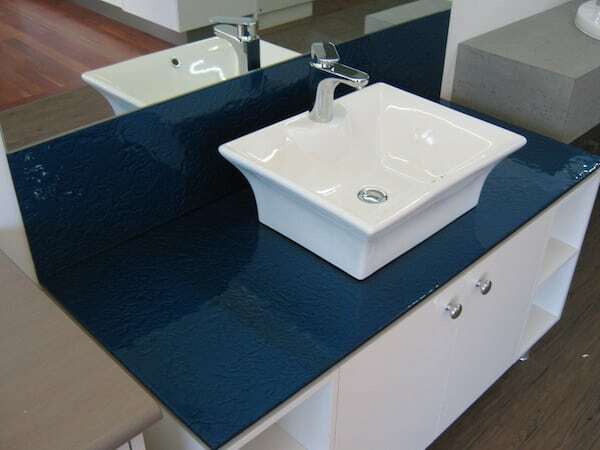 What started out as an alternative to a few courses of tiles behind a vanity or sink has grown to become a new way of designing, building and decorating specific areas of your home. 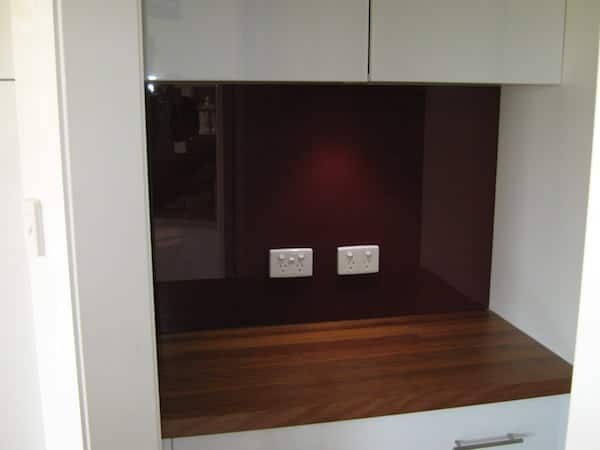 For example in the bathroom all walls can be covered by splashbacks. 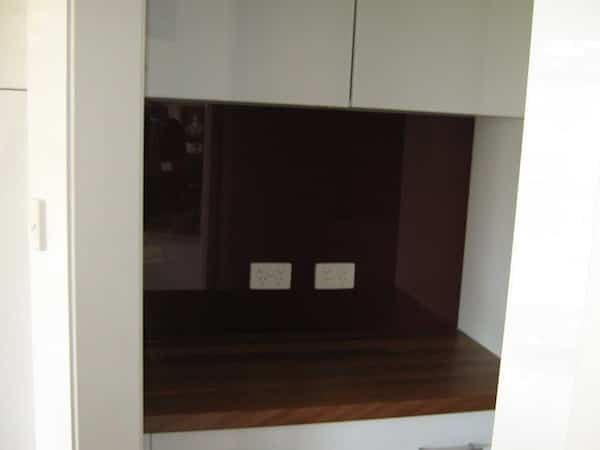 Get creative and use splashbacks to create features in the living room, bedroom or entrance area. 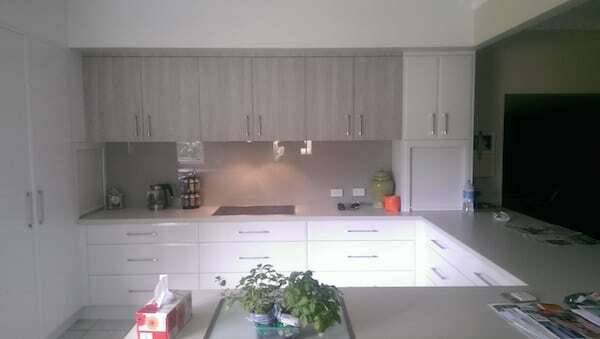 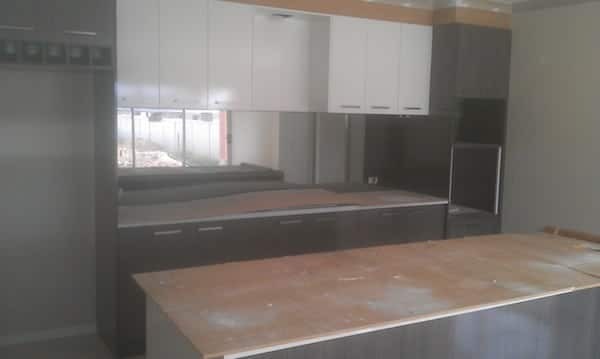 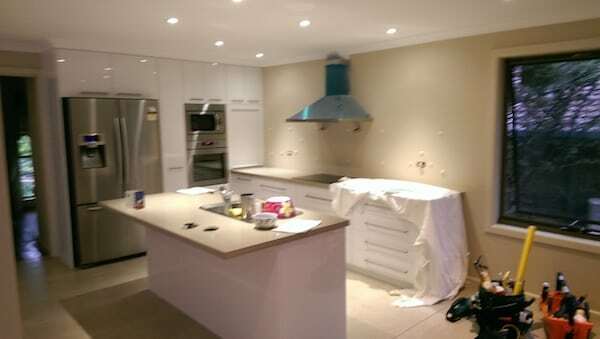 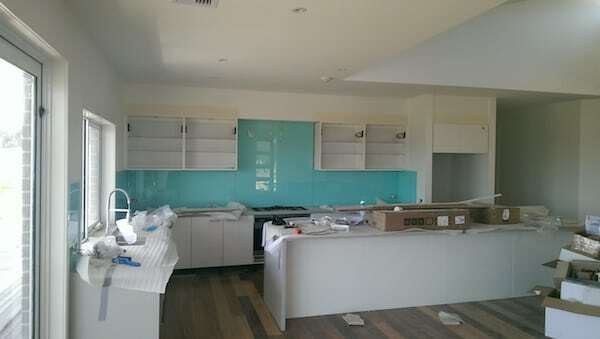 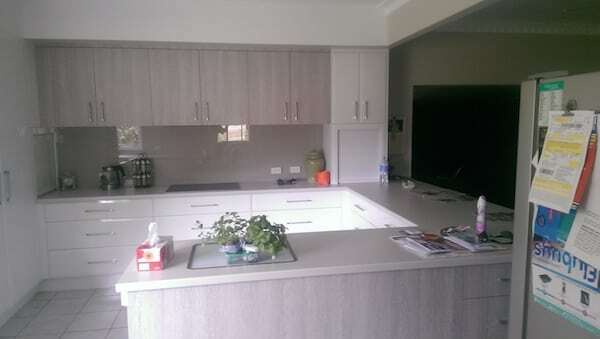 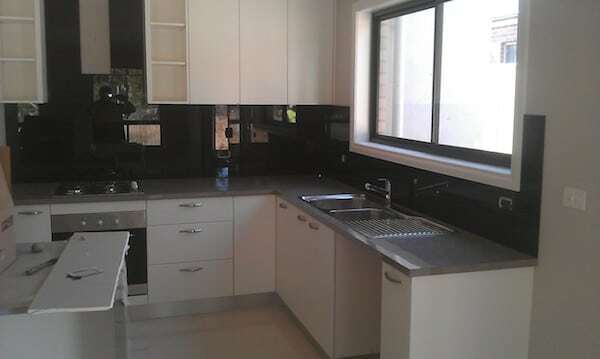 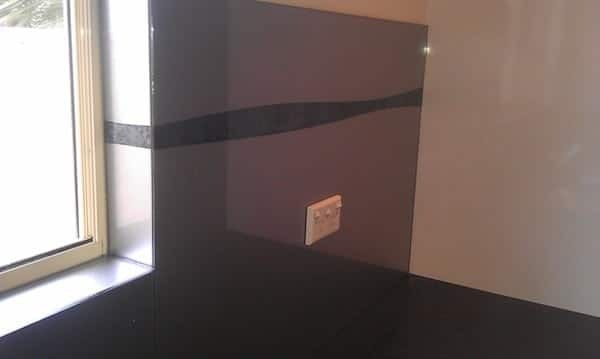 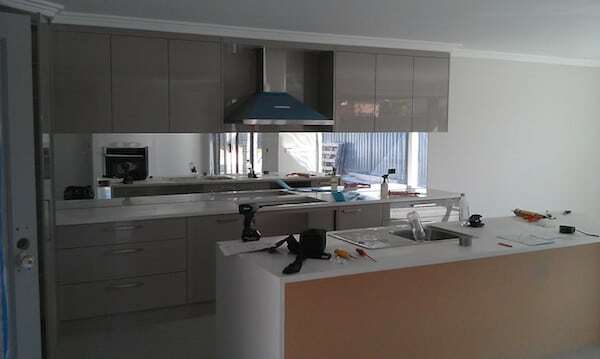 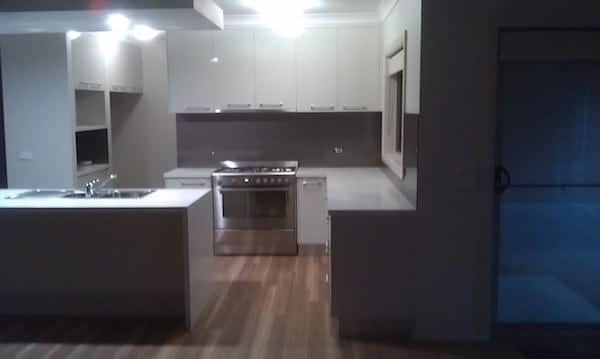 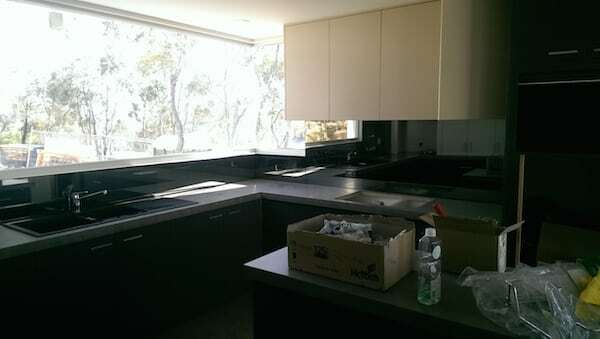 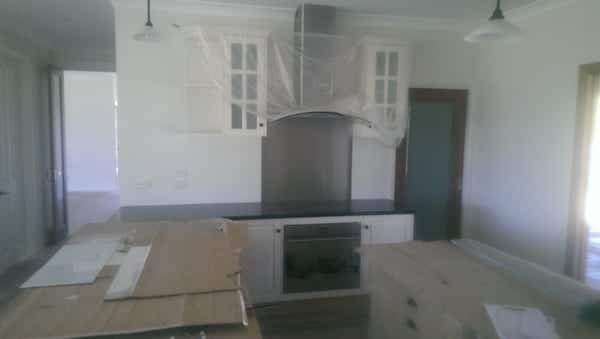 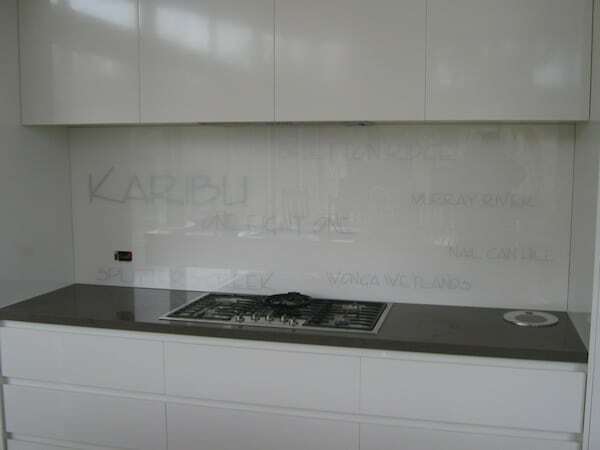 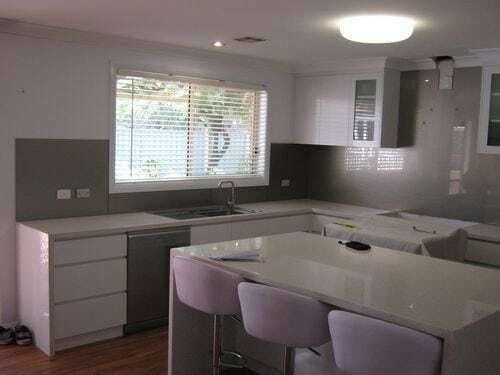 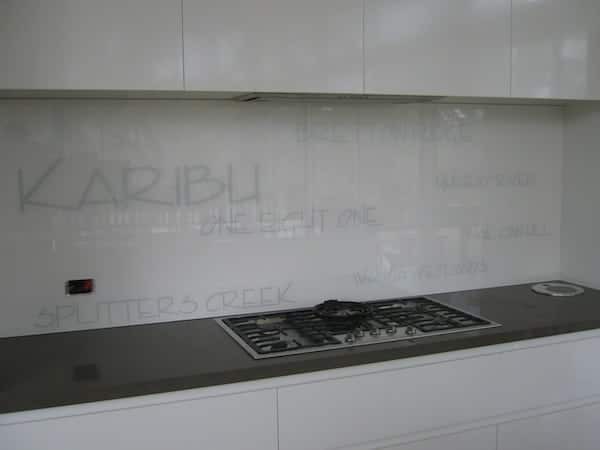 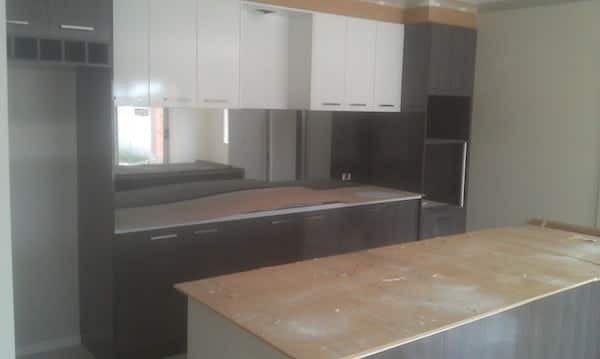 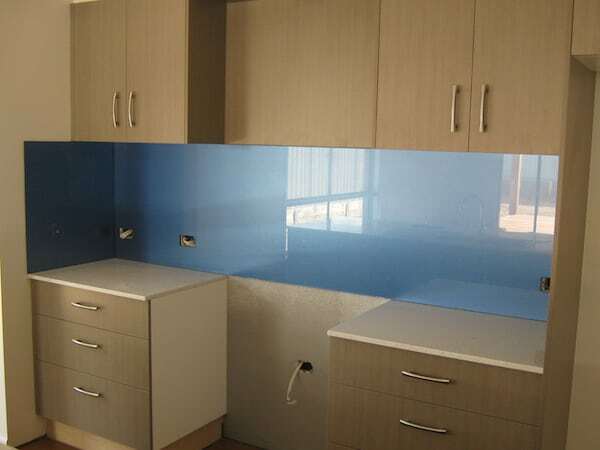 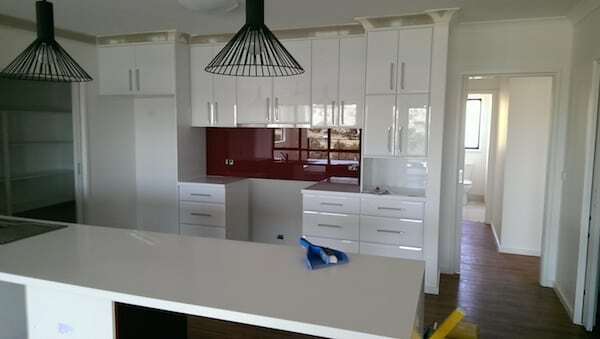 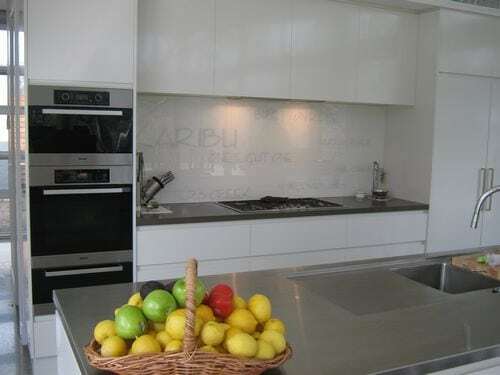 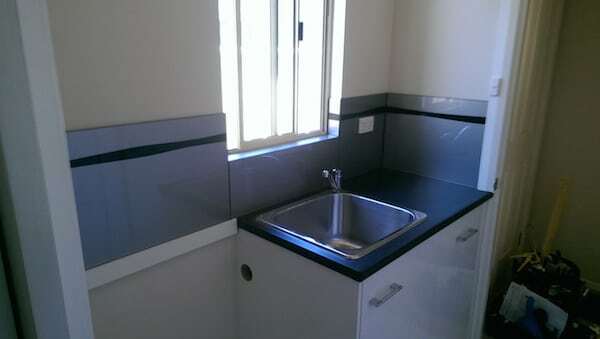 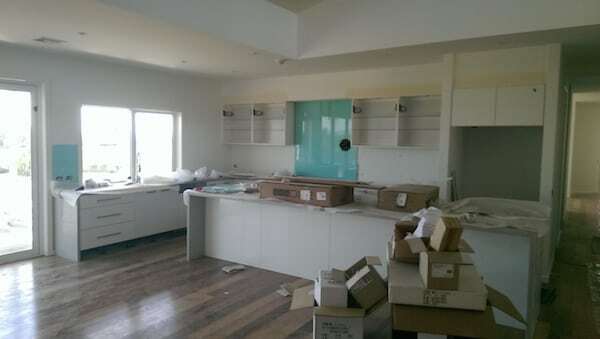 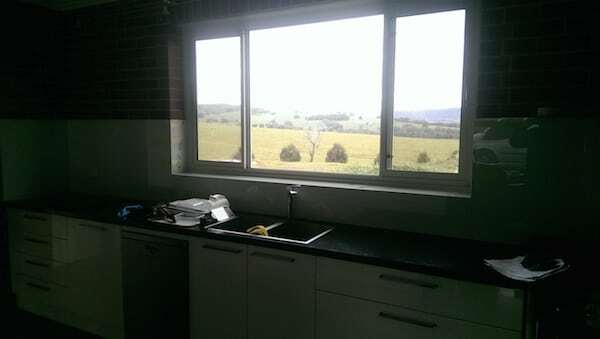 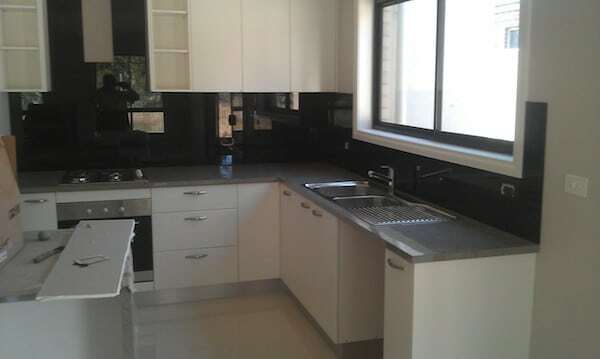 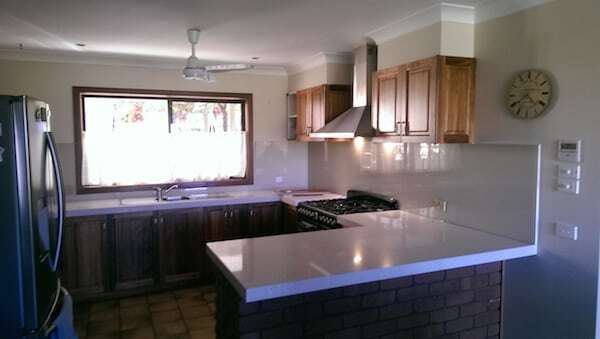 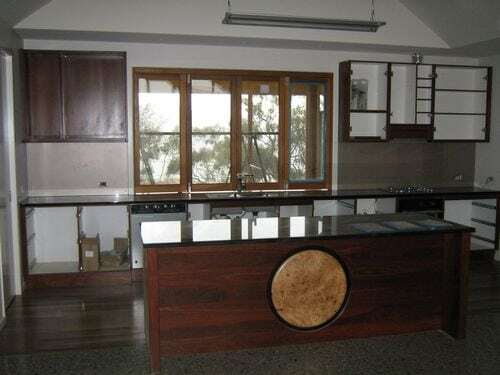 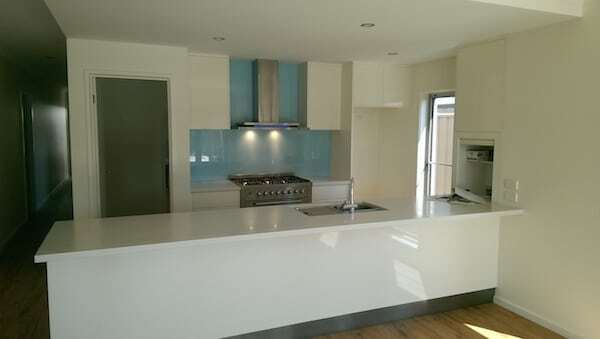 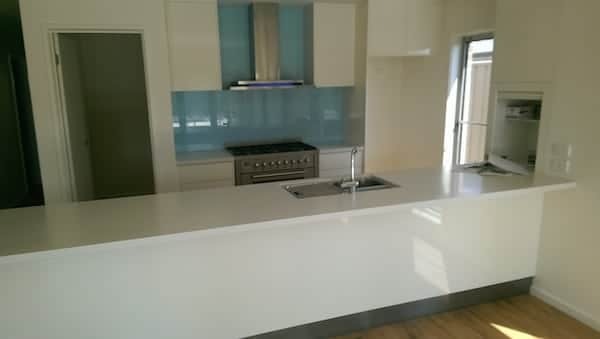 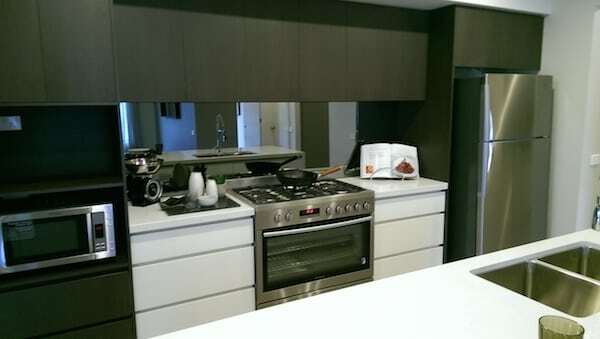 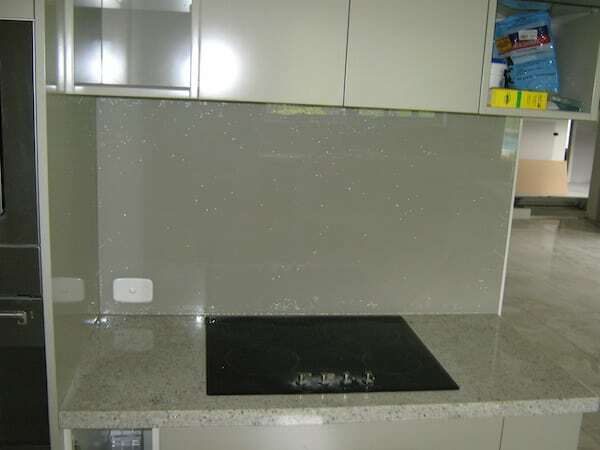 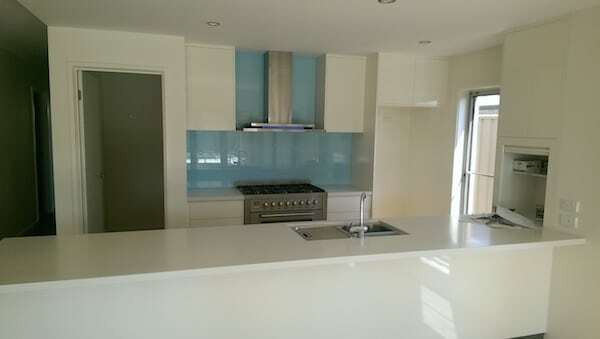 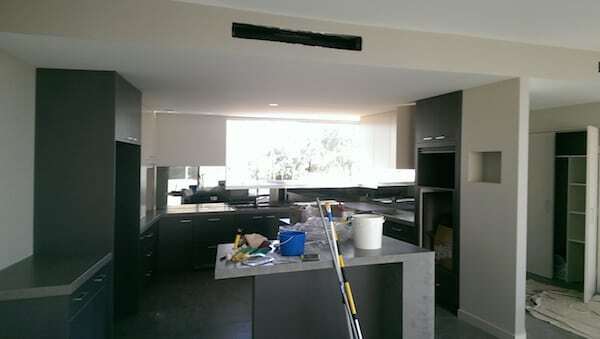 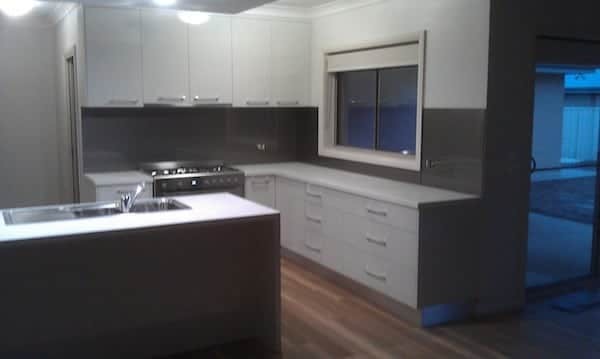 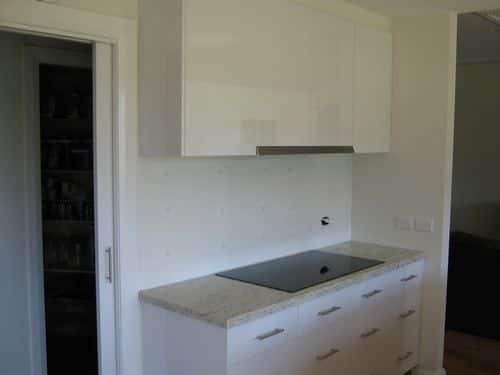 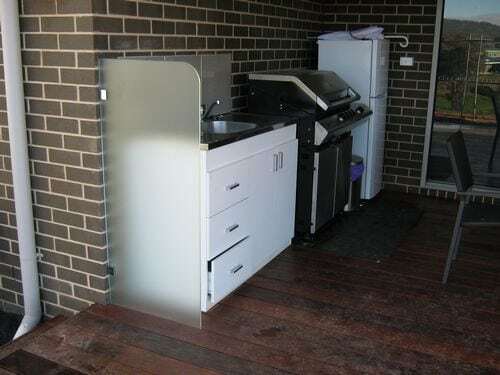 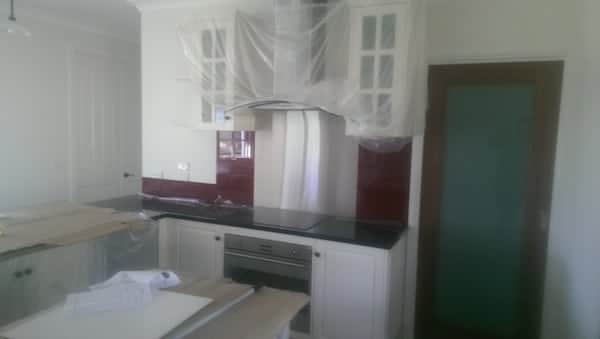 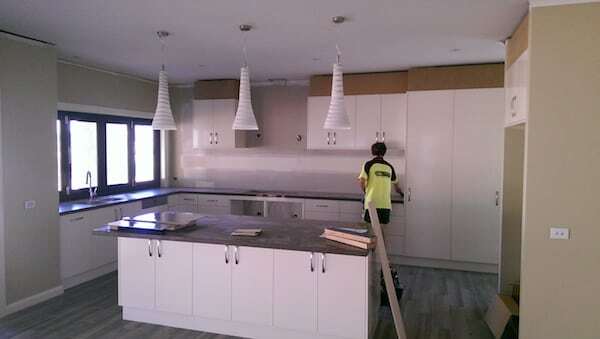 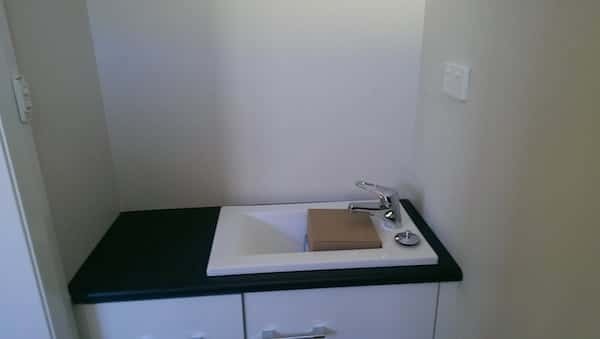 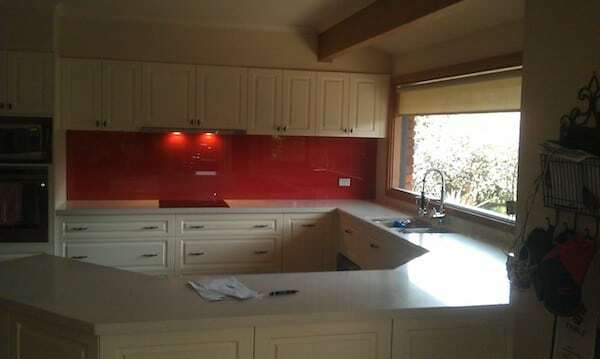 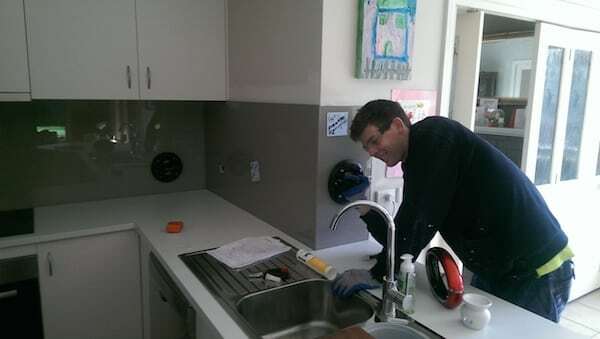 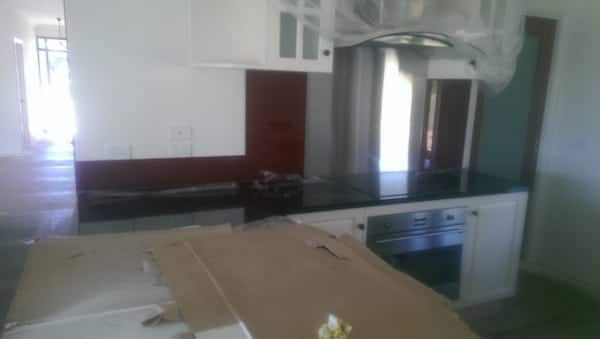 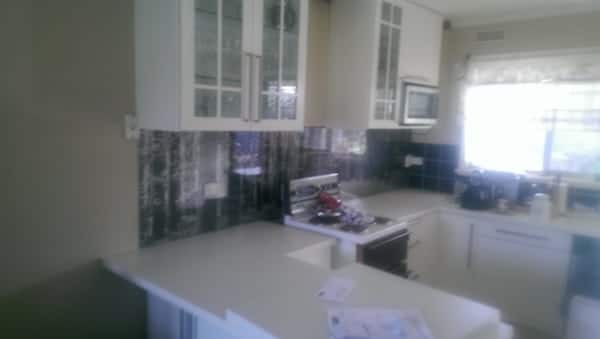 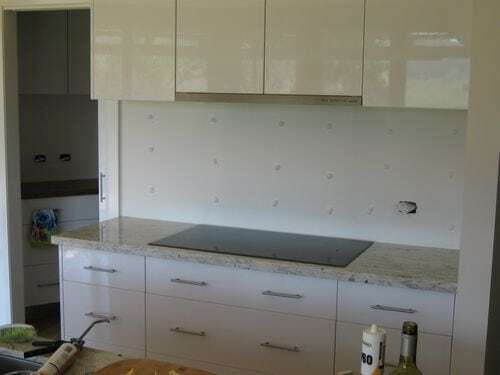 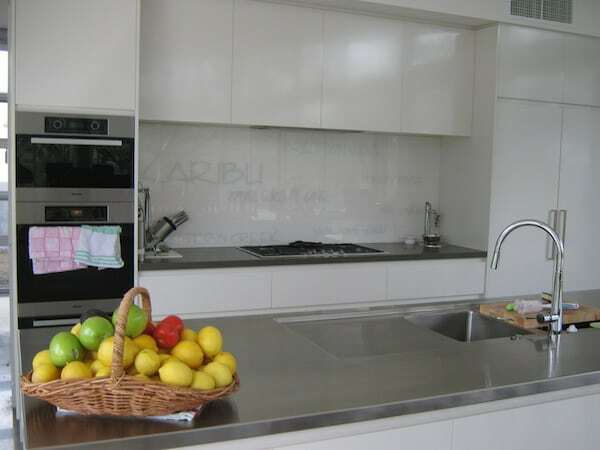 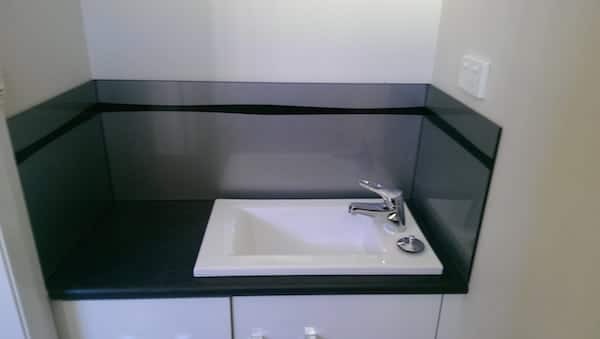 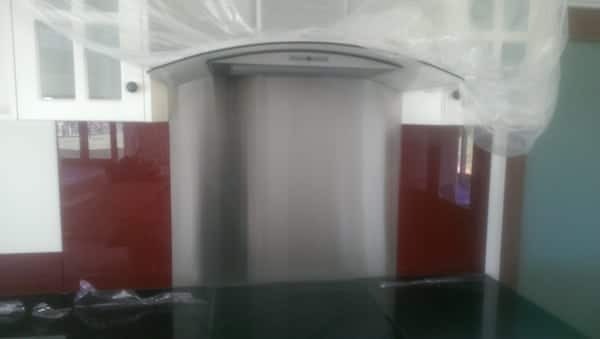 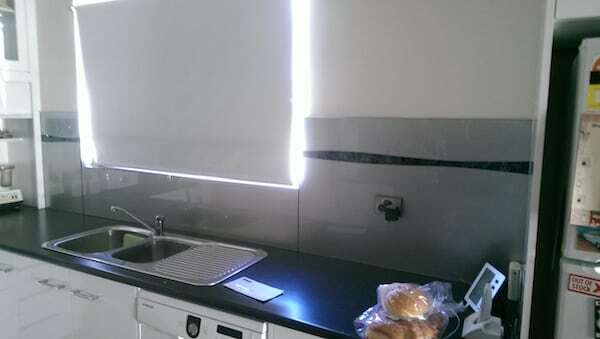 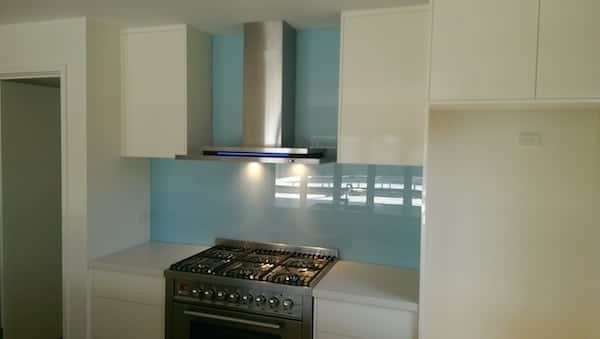 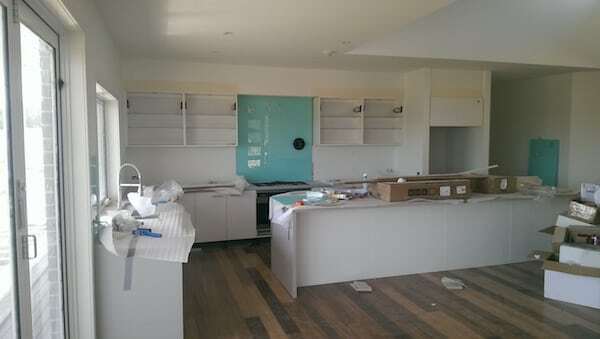 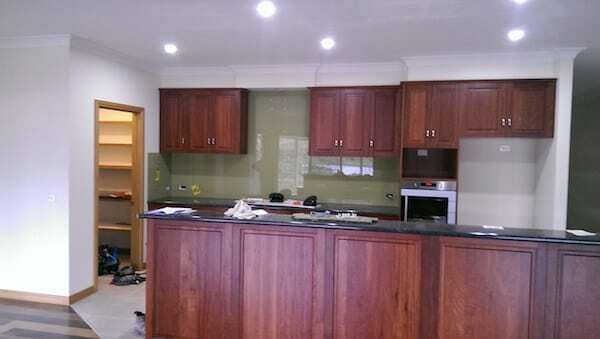 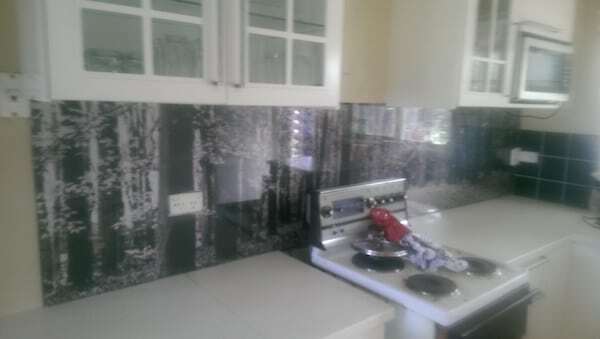 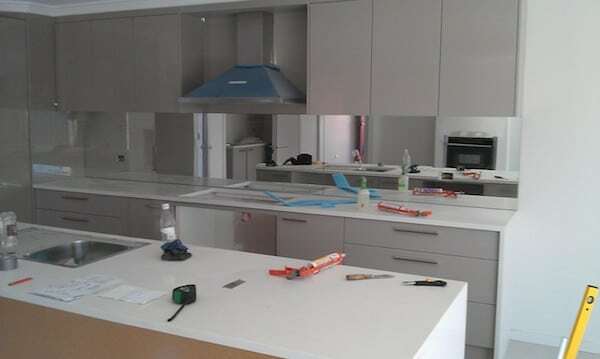 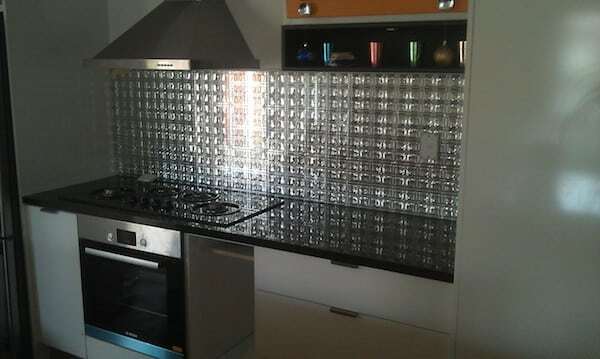 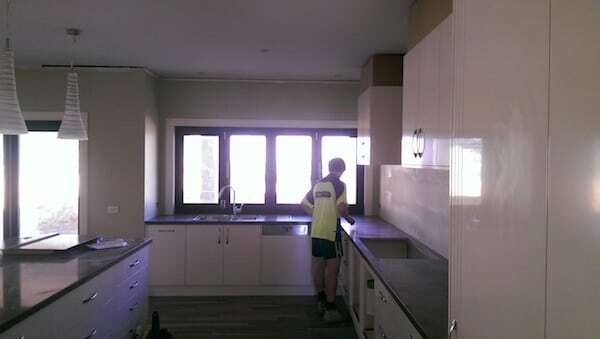 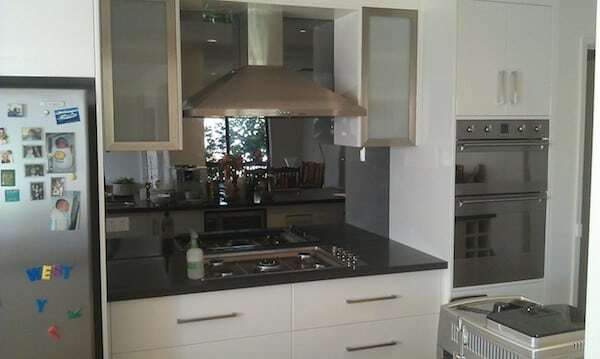 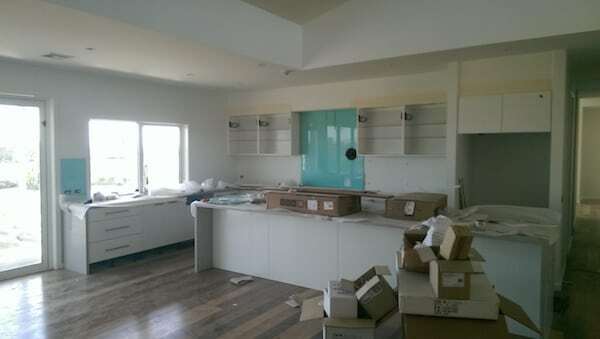 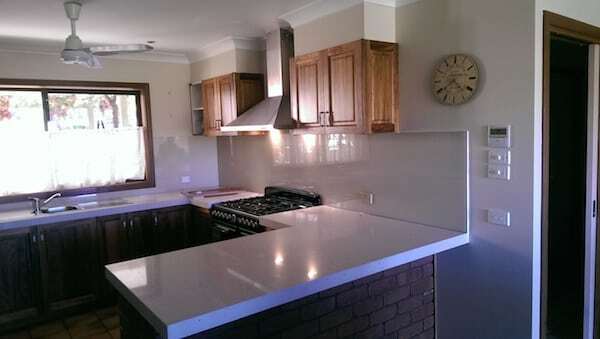 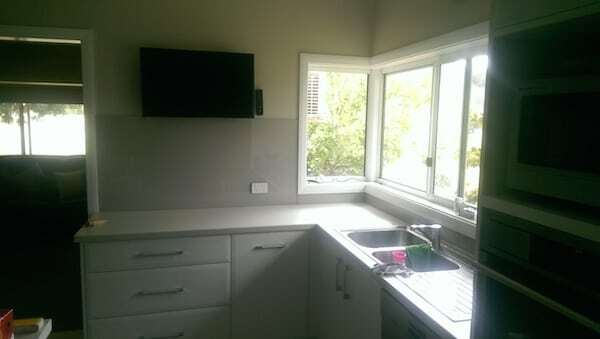 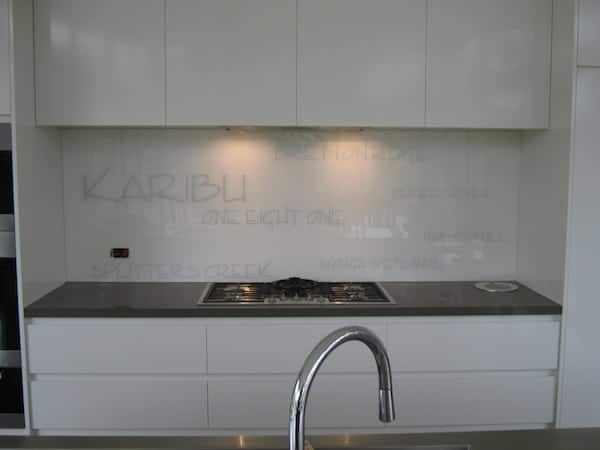 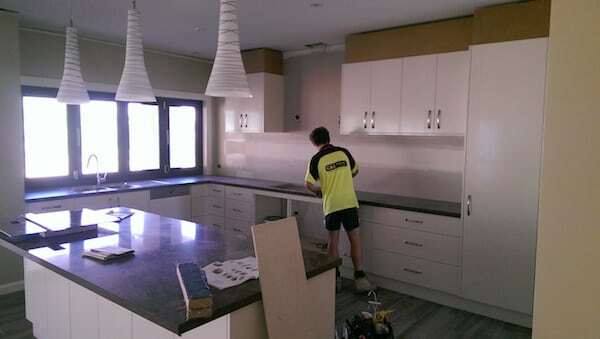 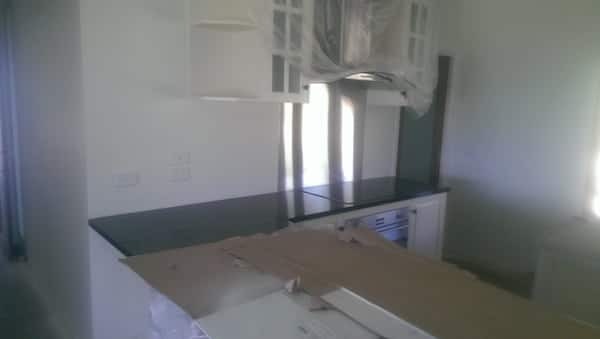 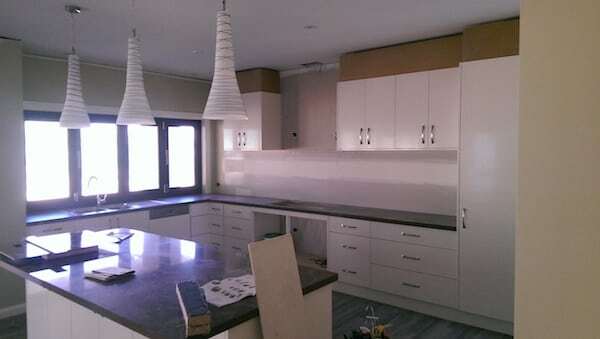 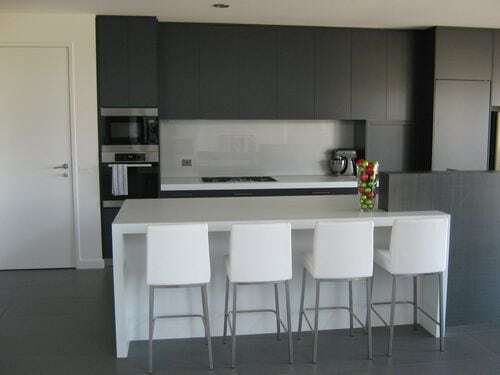 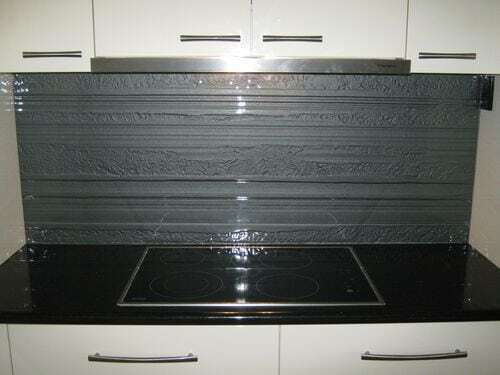 For a free quote on the supply and installation of your glass splashback requirements you can call us on 02 60242336 or use the form here. 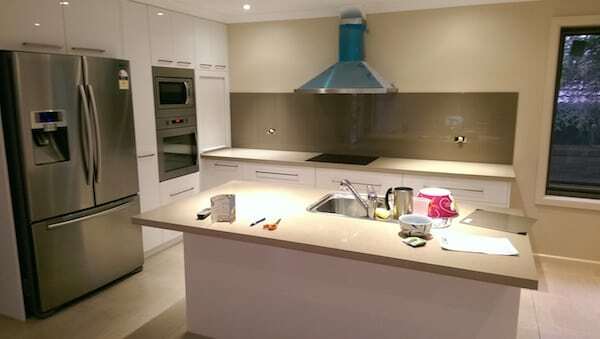 Have a browse through many of the jobs we have installed previously by clicking on one of the images below. 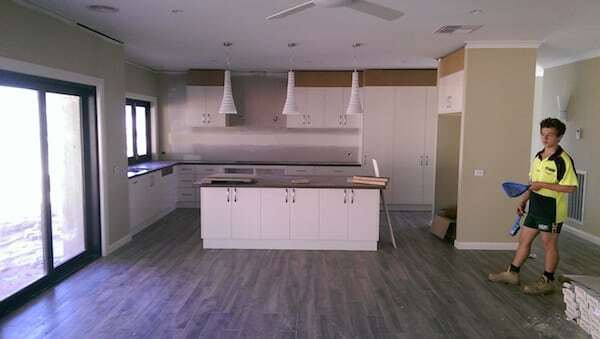 A slideshow gallery will open so you can see the quality of work we do. 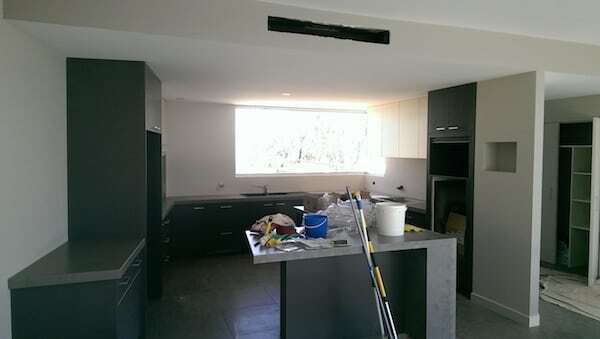 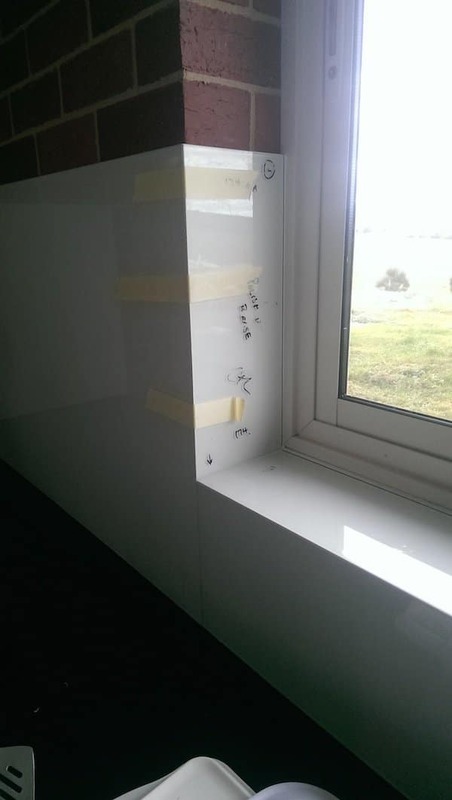 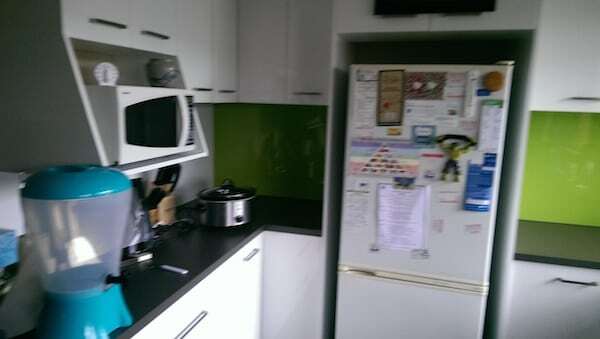 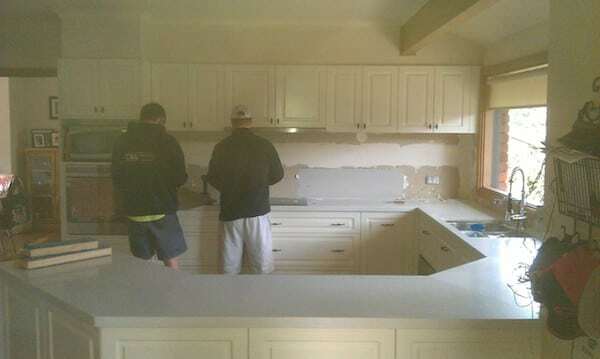 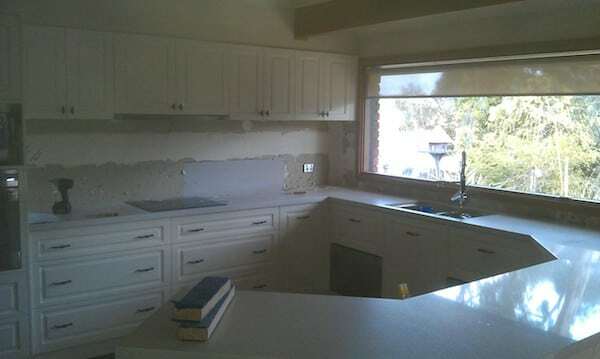 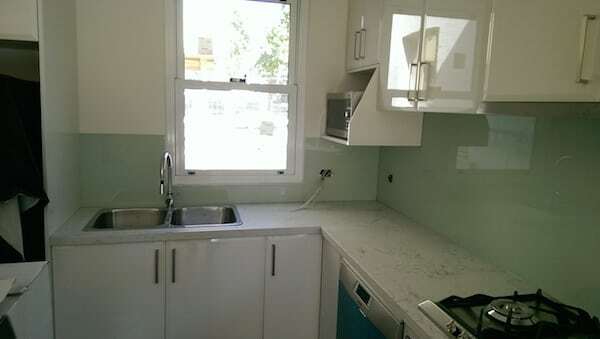 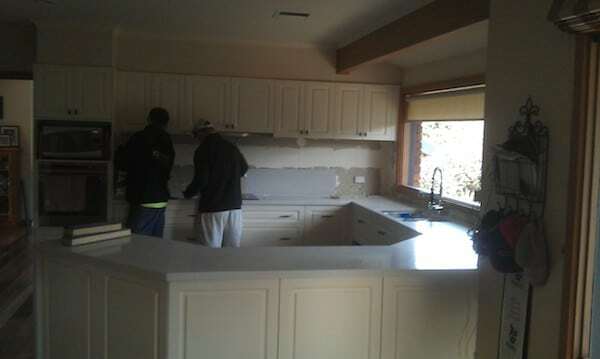 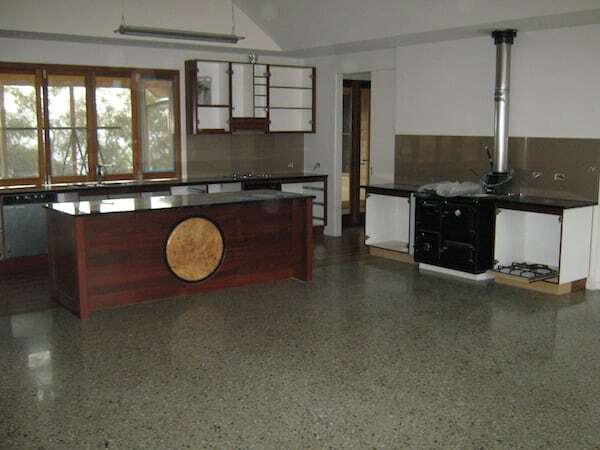 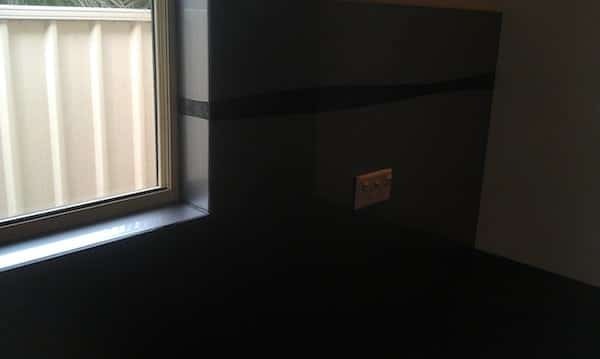 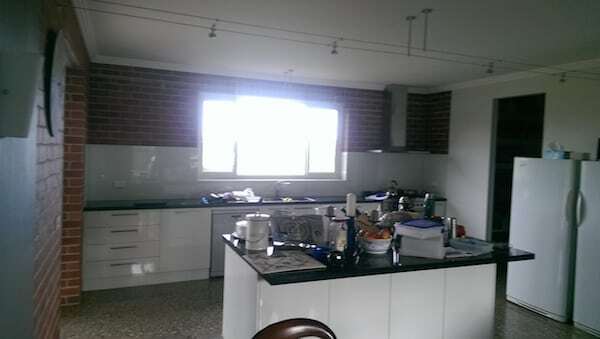 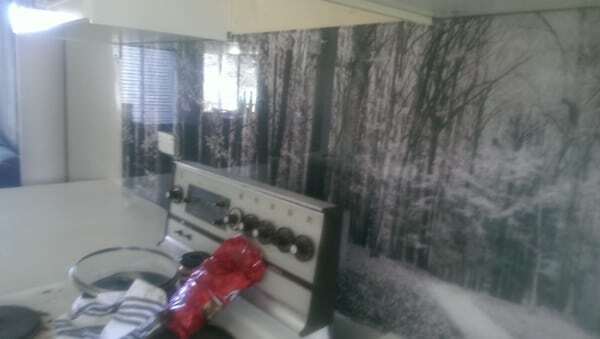 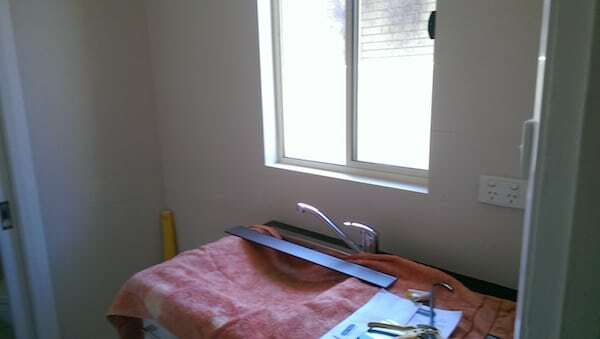 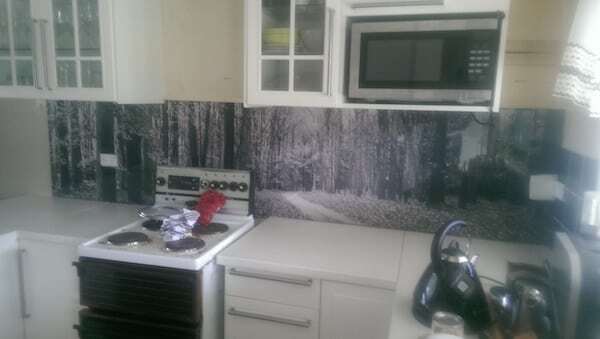 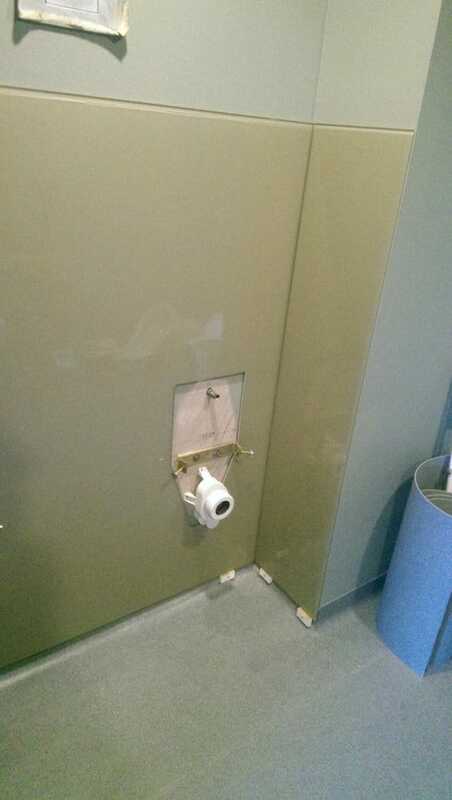 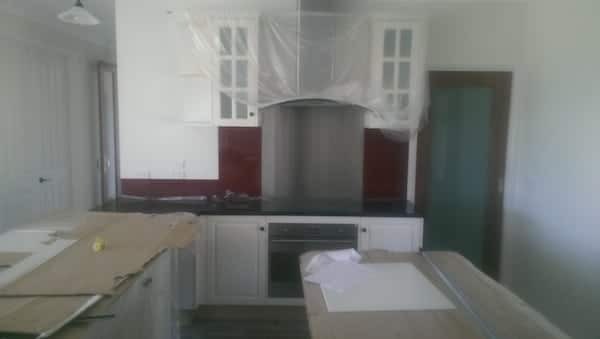 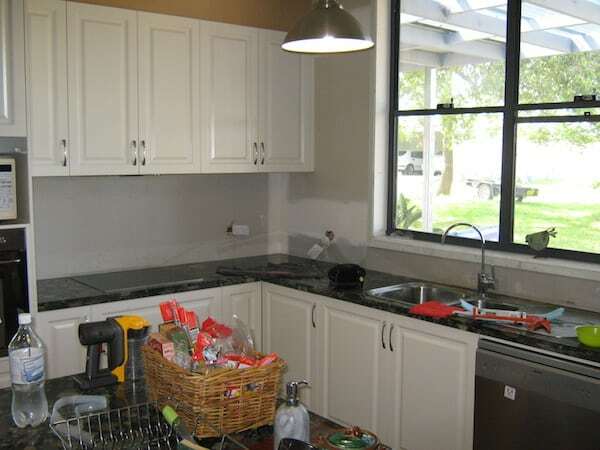 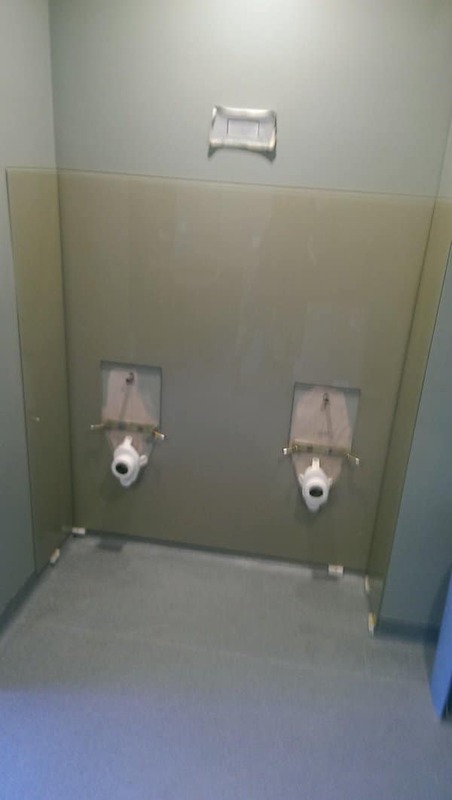 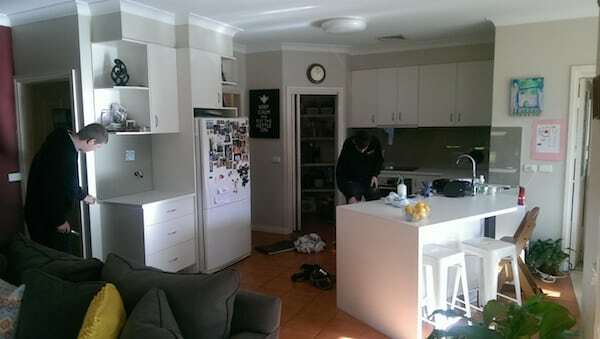 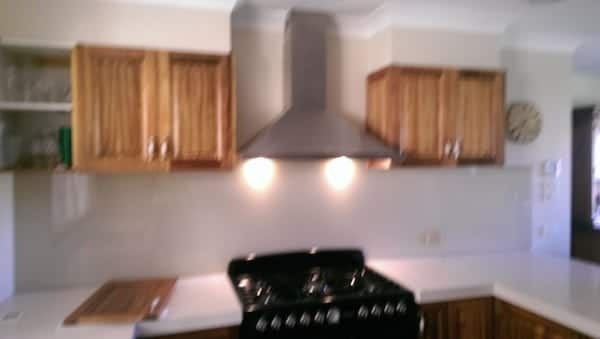 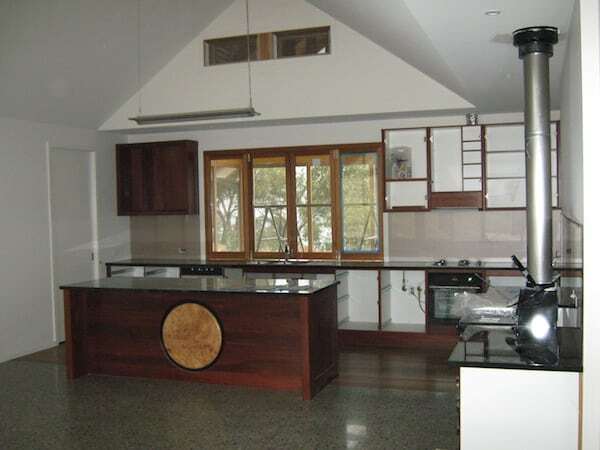 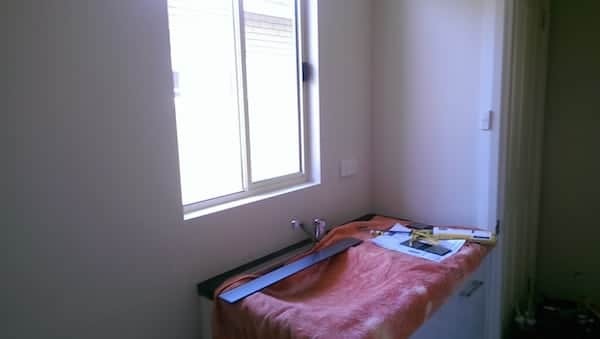 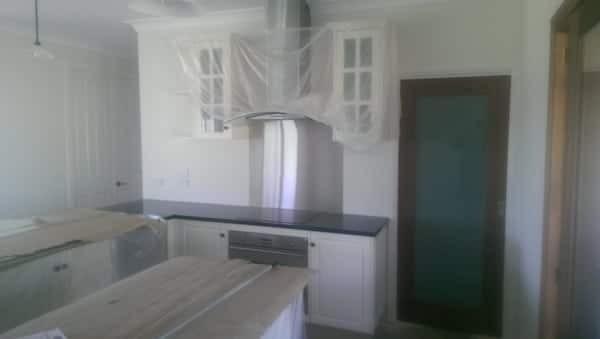 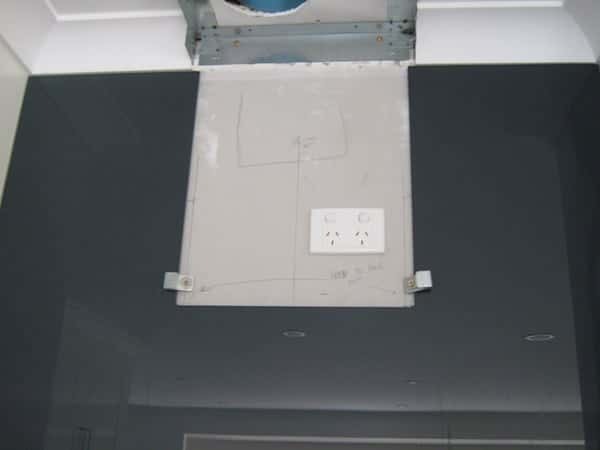 Please note that some of the photos were taken before the job was finished.